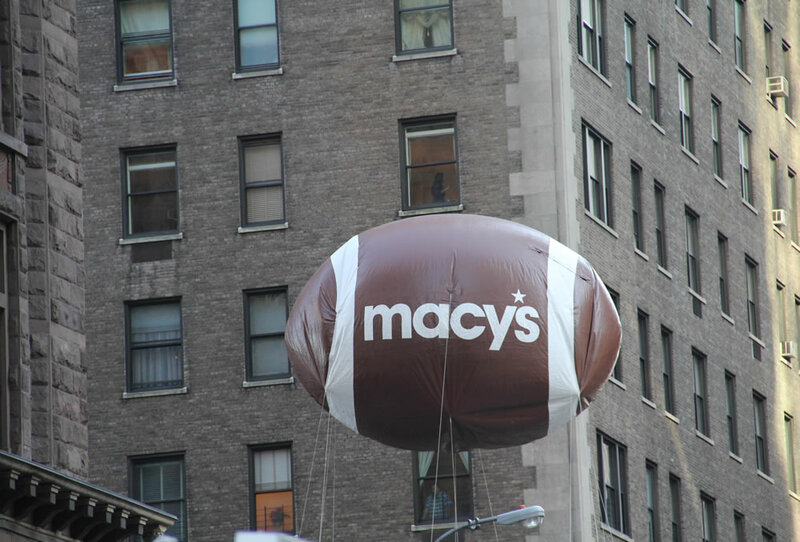 Before the Turkey hits the table and everyone gets settled in front of the TV to watch the football game, the New York City Macy’s Thanksgiving Day Parade is an awesome way to get the day started. 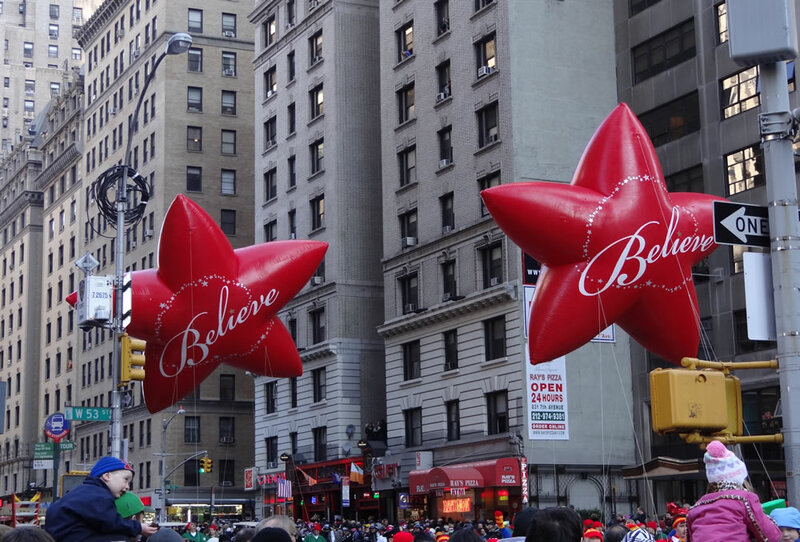 Beat the crowds and find the best spots to watch the parade so that you can make this a memorable moment for you, your family and friends. 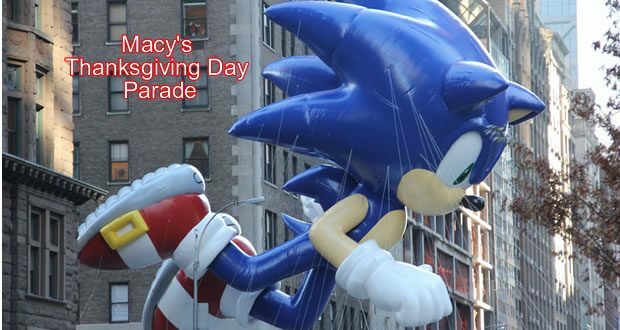 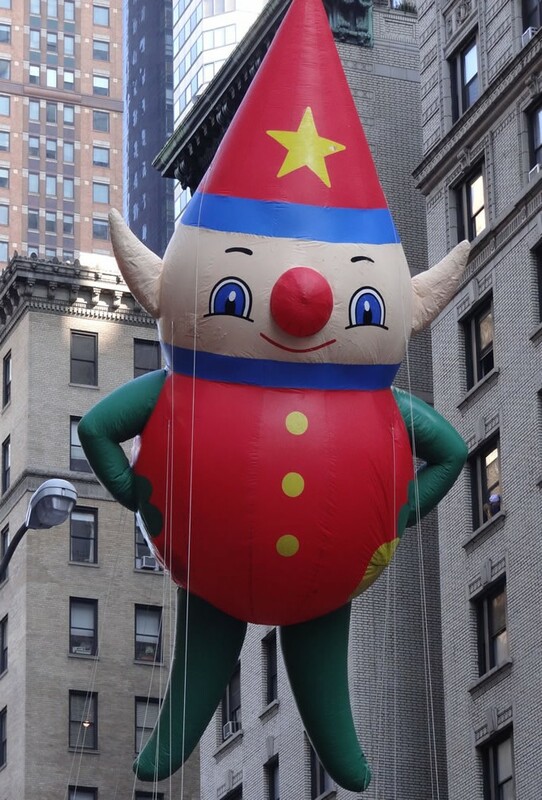 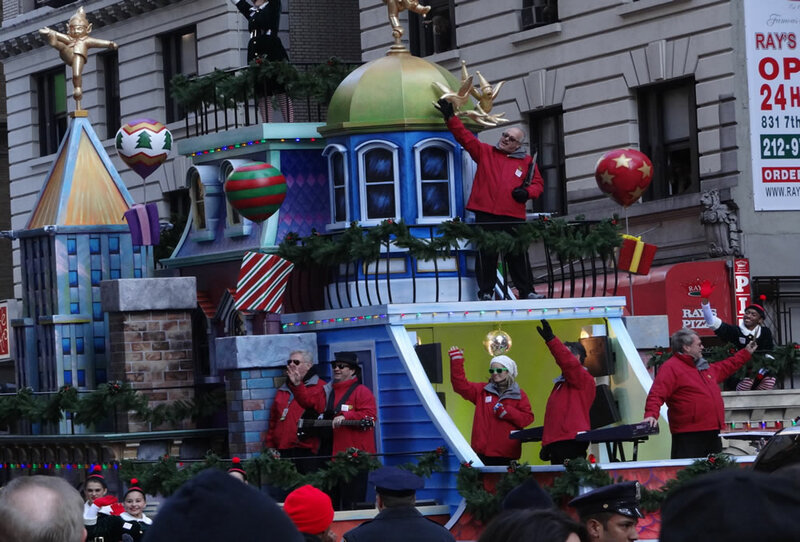 The Macy’s Thanksgiving Day Parade will take place on November 22, 2018,start time is 9.a.m.. 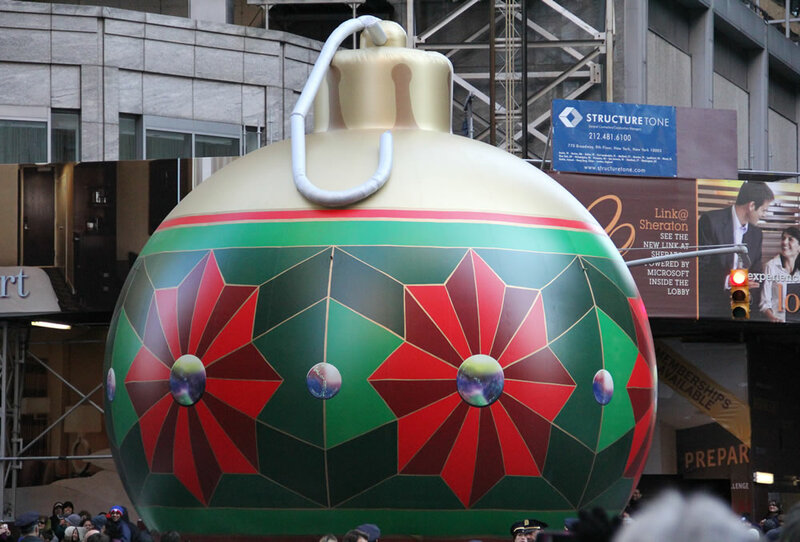 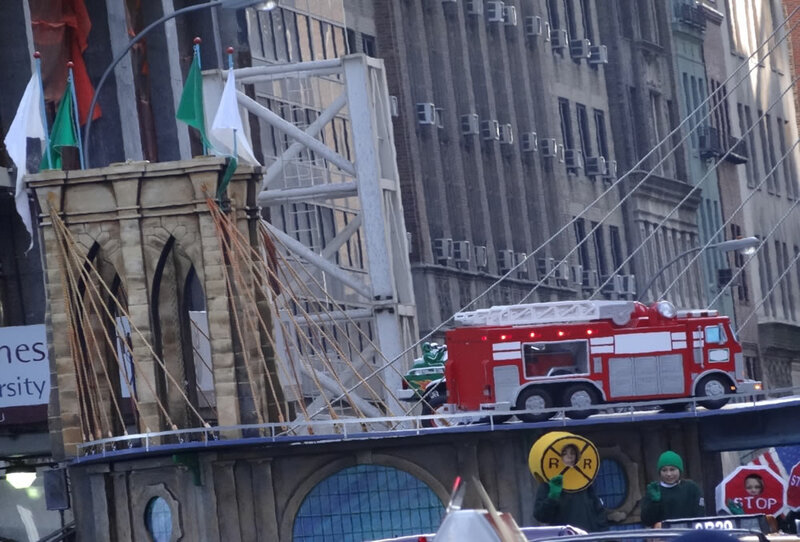 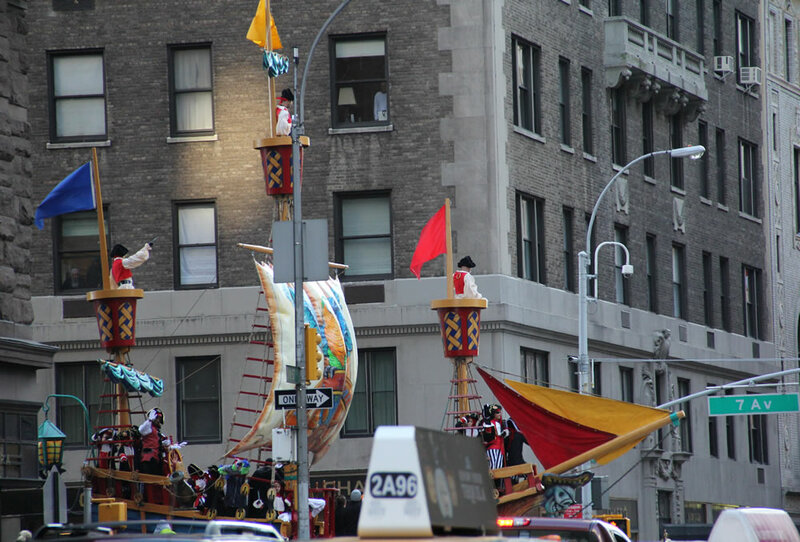 If you want to see the very first float go down the street, the starting point is 77th Street and Central Park West. 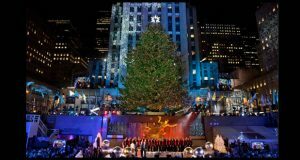 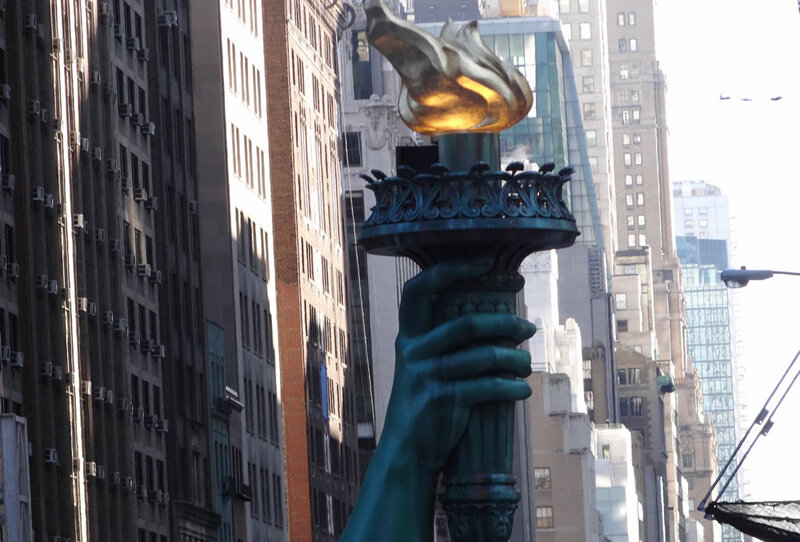 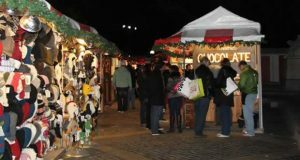 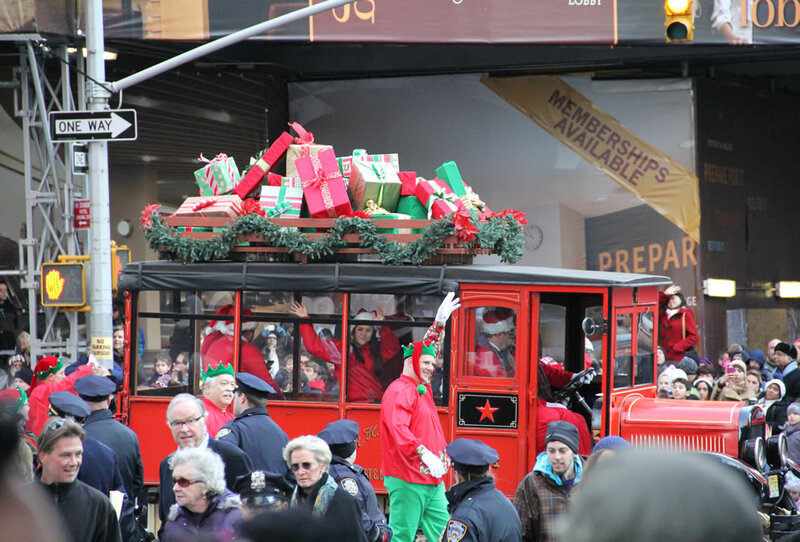 This year will mark the 91st anniversary of this great New York City holiday tradition. 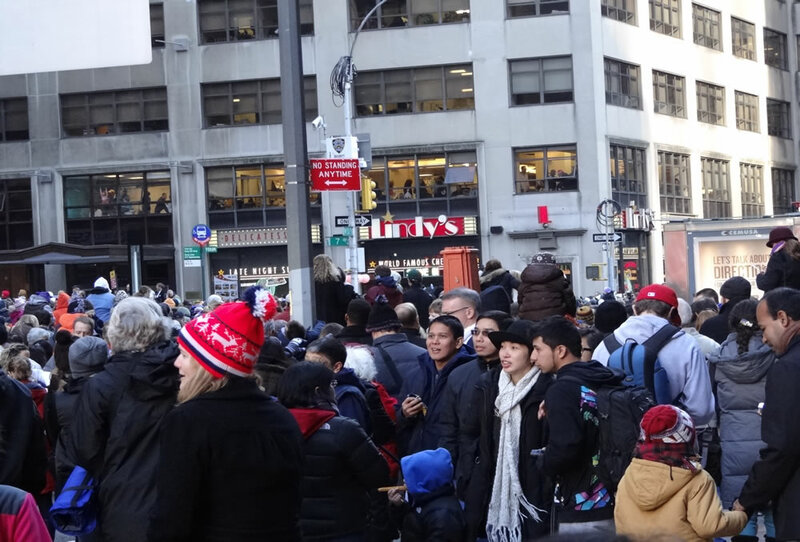 Millions of people watch the parade on the streets of NYC and other’s watch on TV across the world. 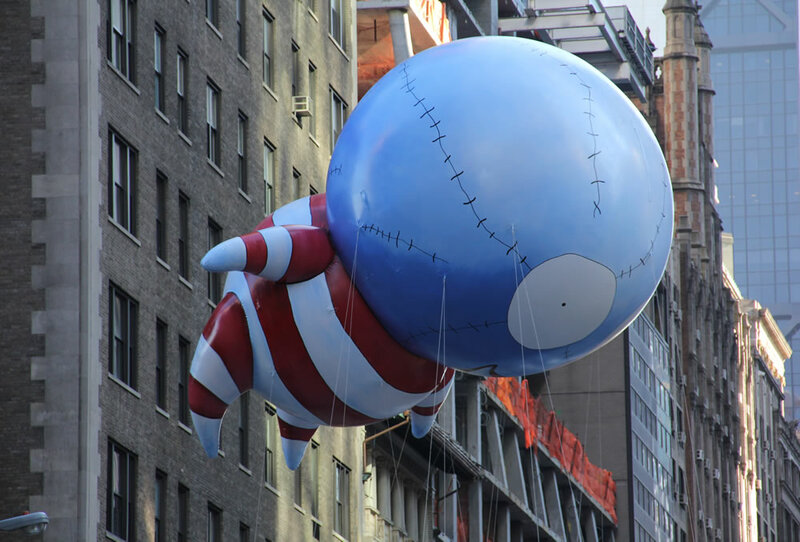 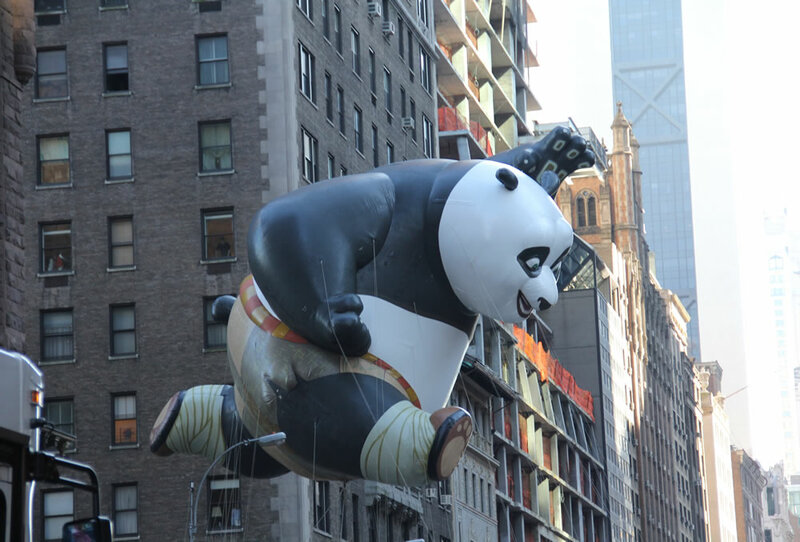 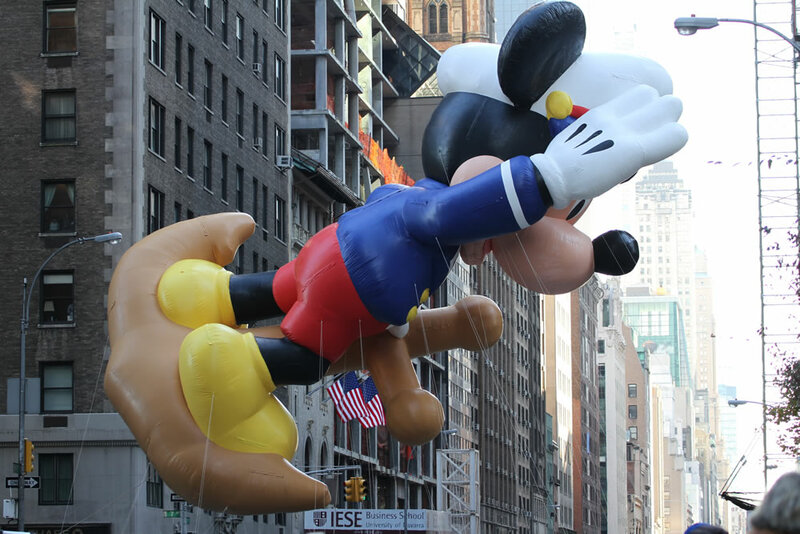 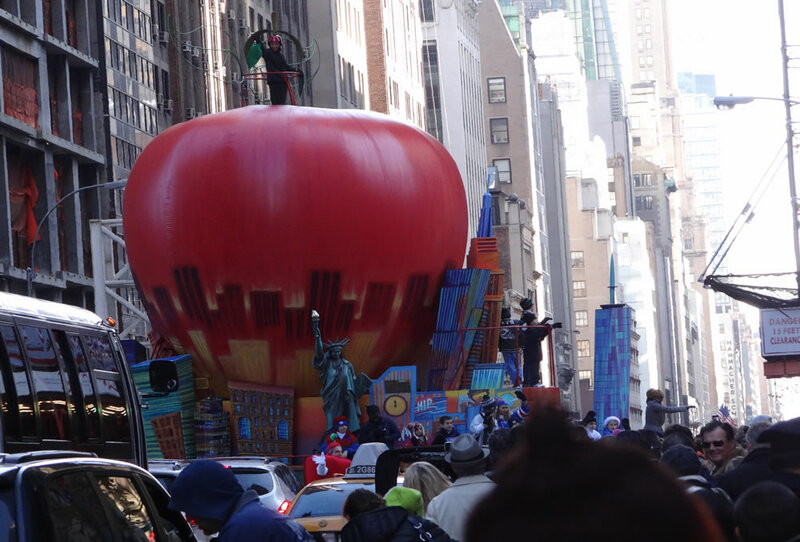 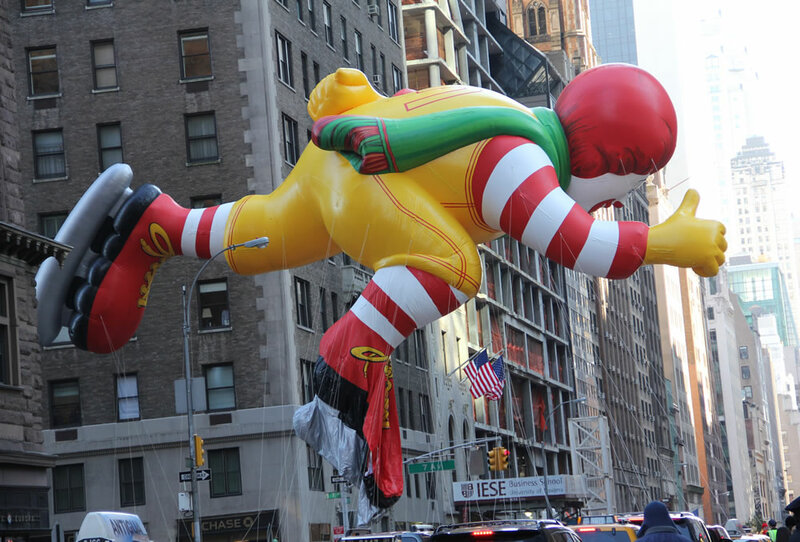 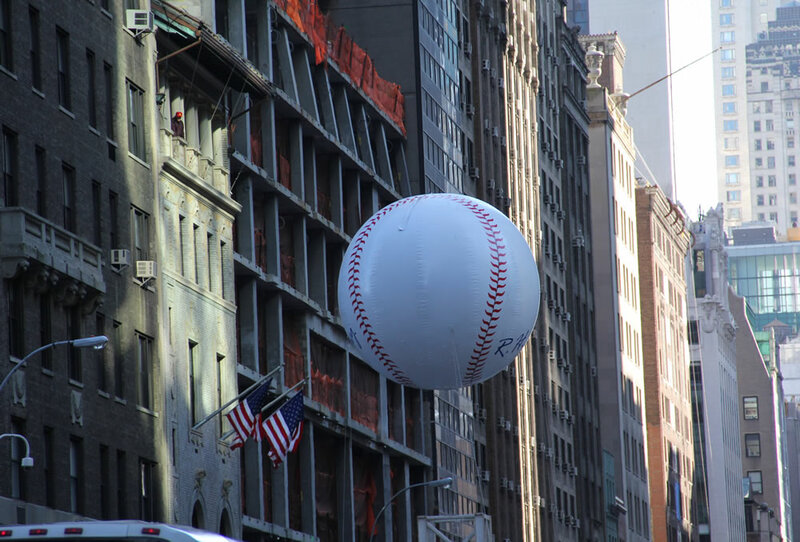 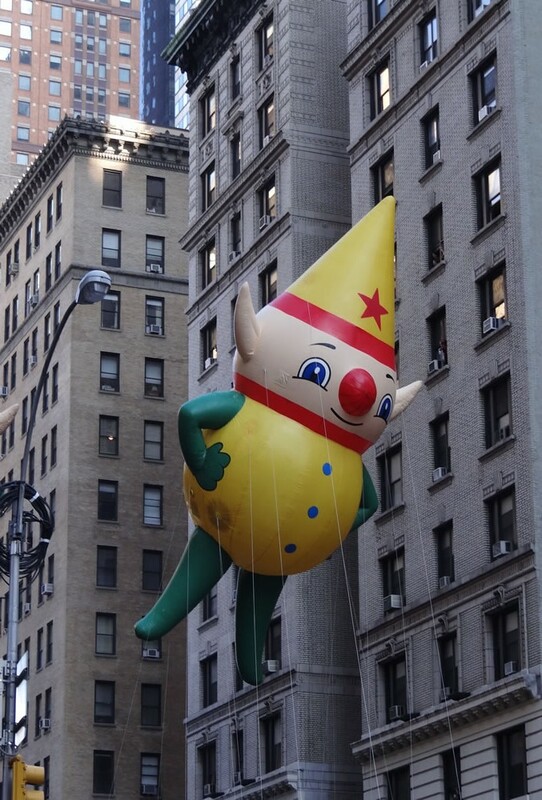 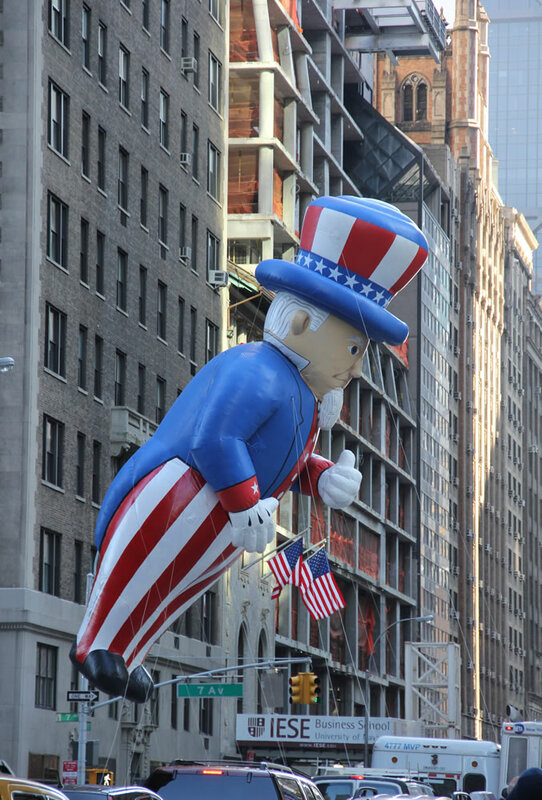 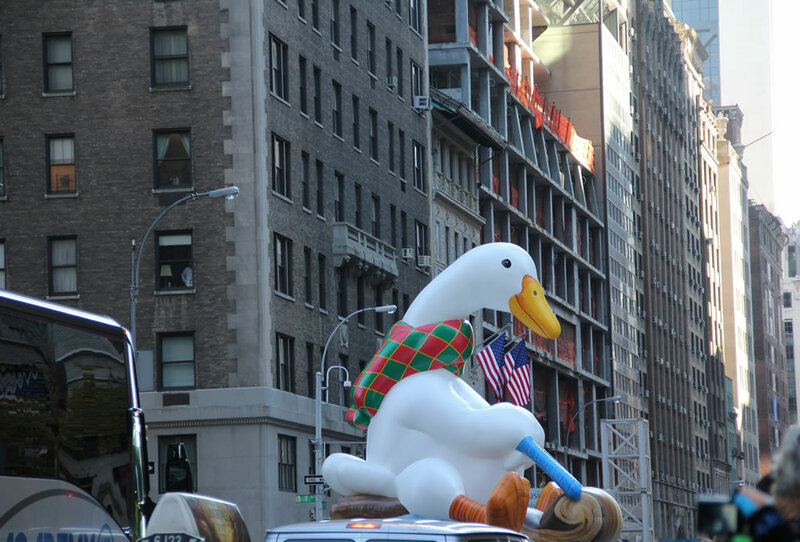 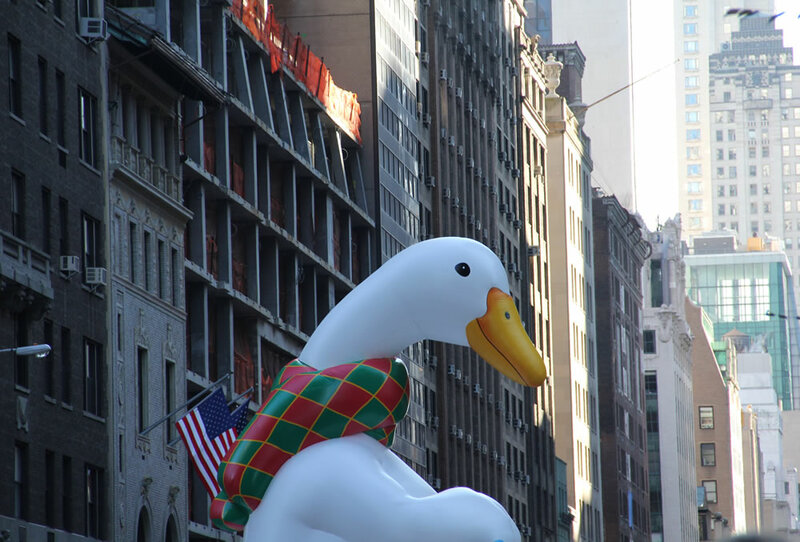 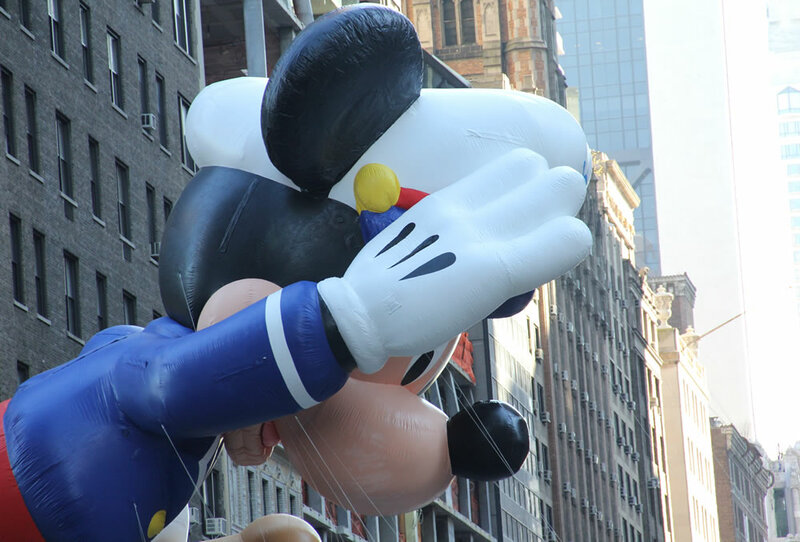 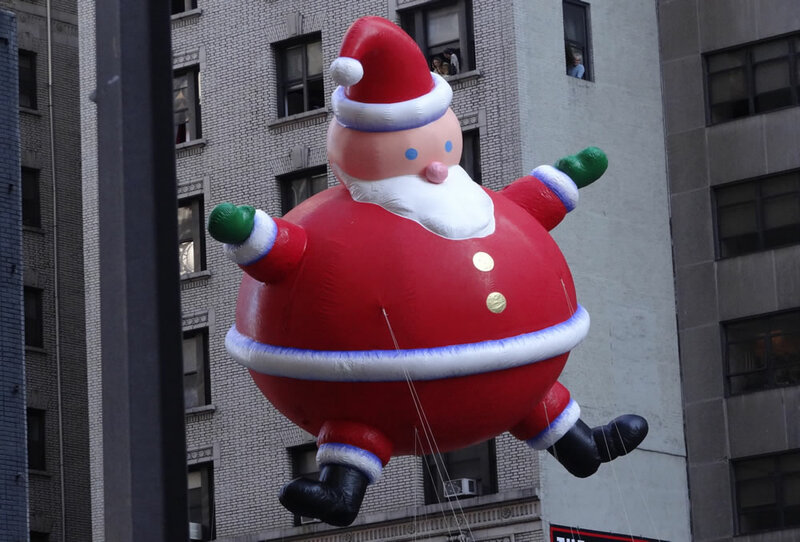 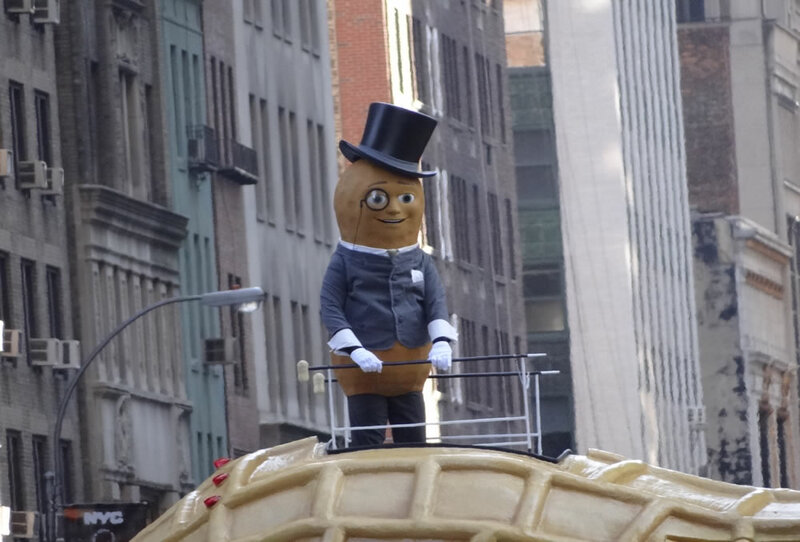 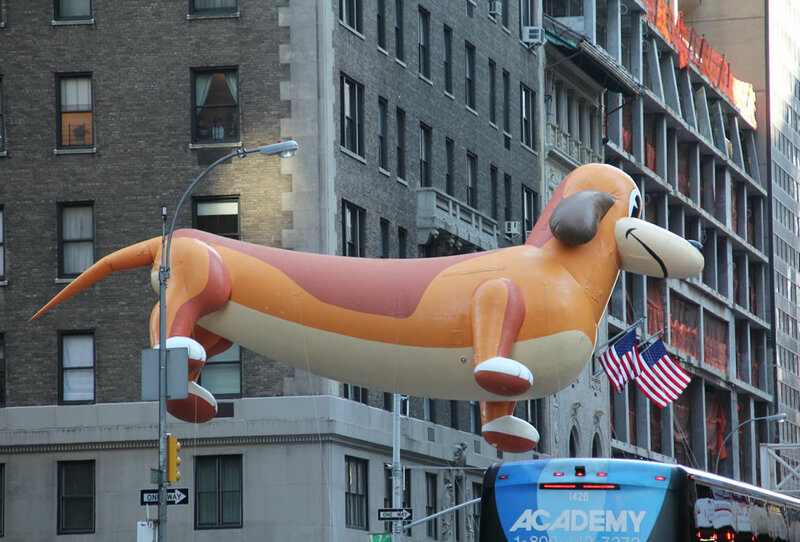 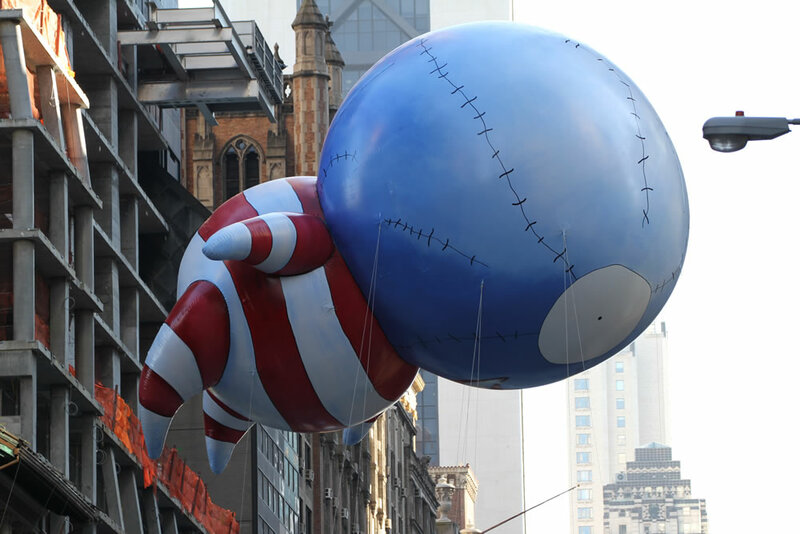 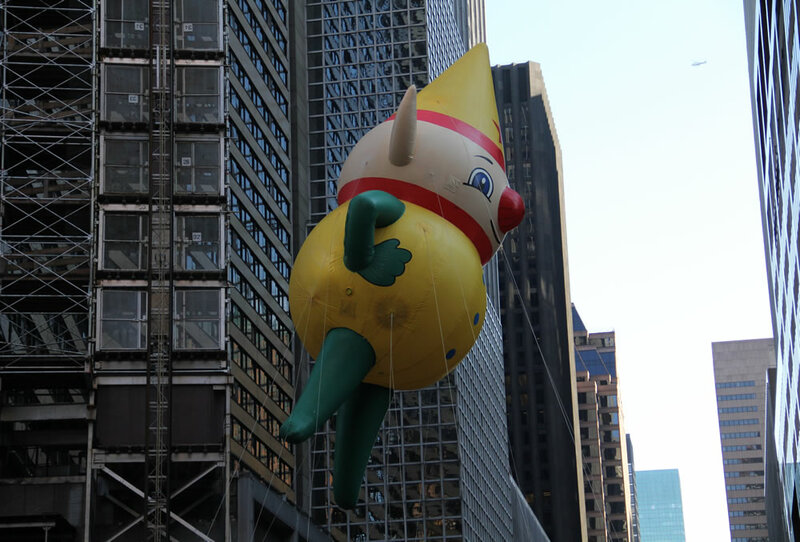 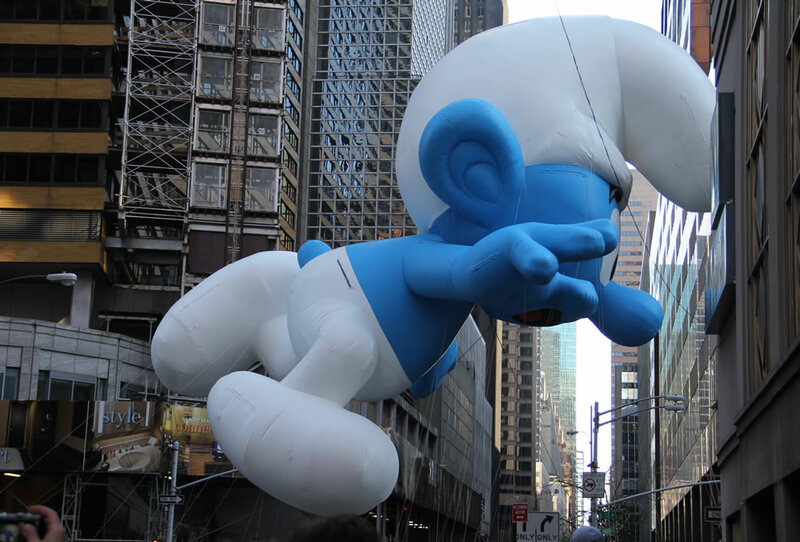 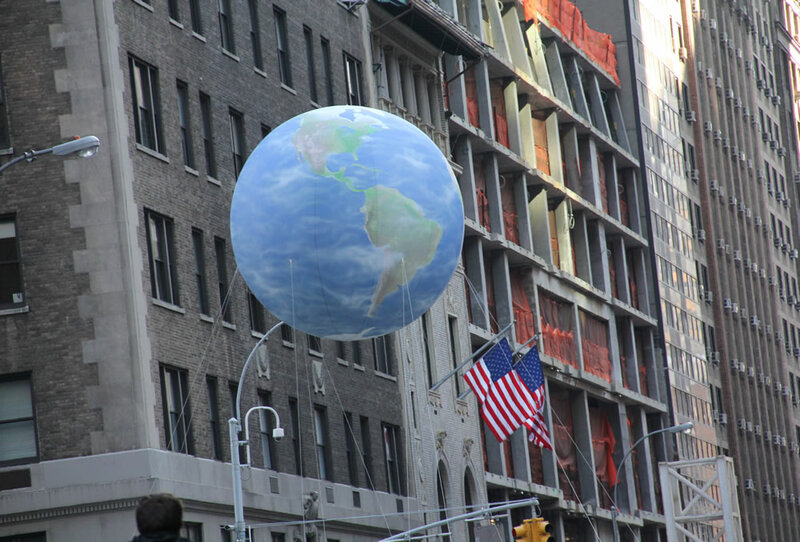 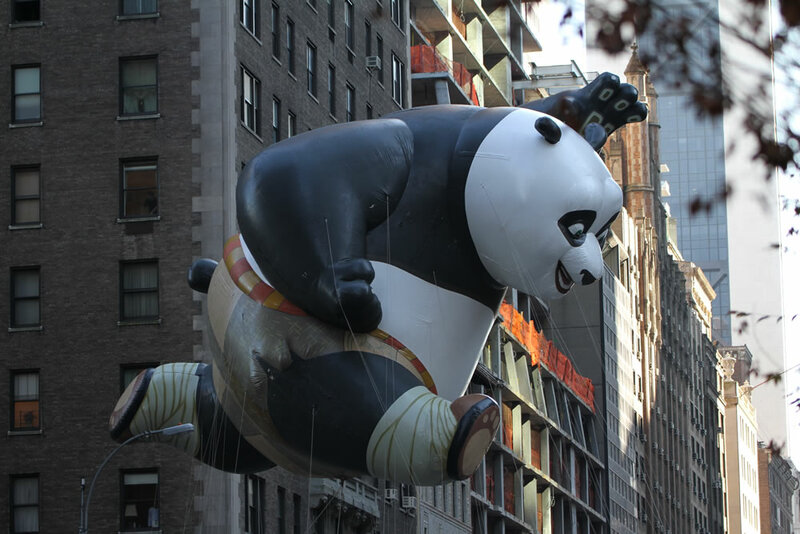 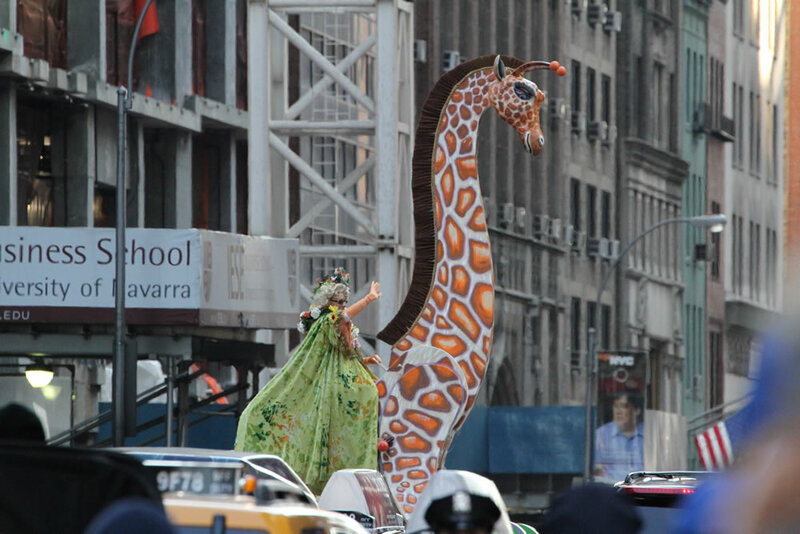 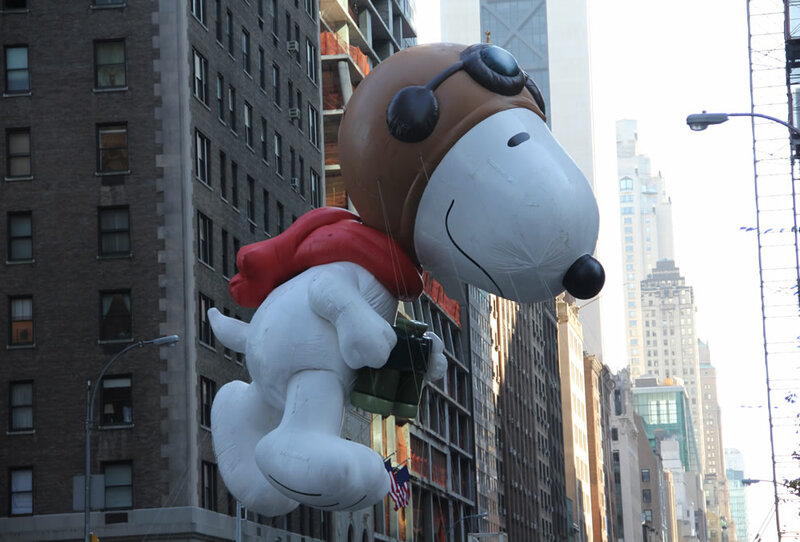 The New York City Thanksgiving Day Parade is one of the largest in the nation. 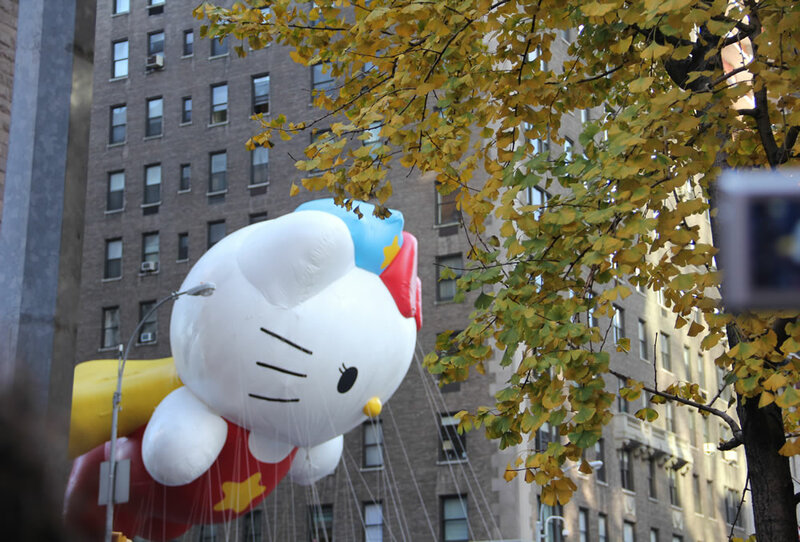 Be on the look out for giant balloon character crowd favorites that include, Hello Kitty, Diary Of A Wimpy Kid, Pillsbury Doughboy as well as colorful floats, marchiing bands and a lineup of celebrity performers. 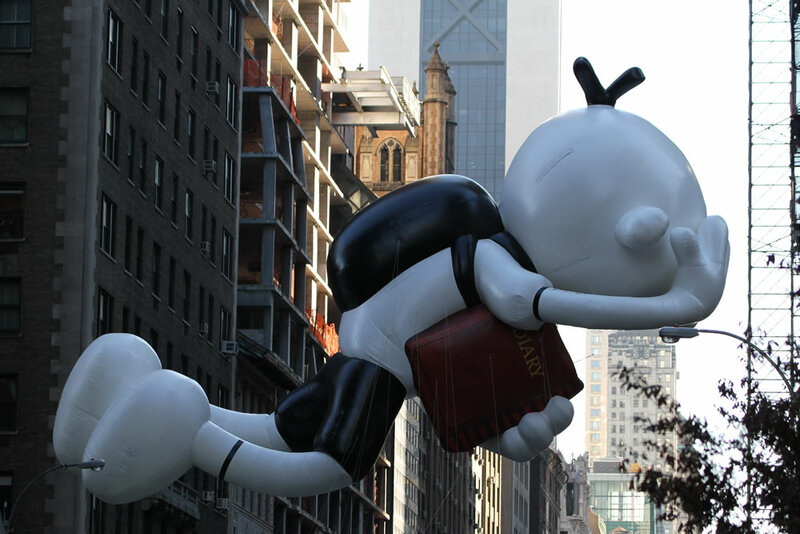 Hello Kitty, Diary Of A Wimpy Kid, Pillsbury Doughboy, Pikachu, Spongebob Squarepants, The Elf On The Shelf, Skylanders Eruptor, Thomas The Tank Engine, Red Mighty Morphin Power Ranger, Paddington, Ronald Mcdonald, Angry Birds’ Red, Dino, Ice Age’s Scrat & His Acorn, Trolls and Charlie Brown. 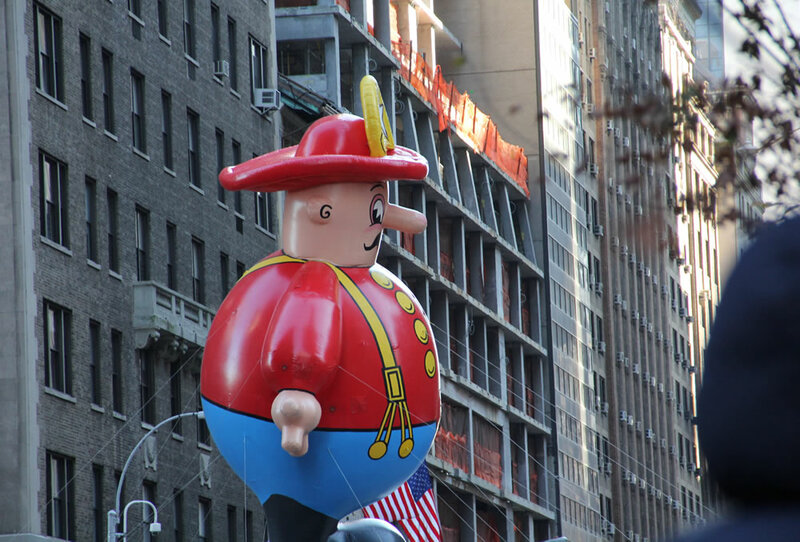 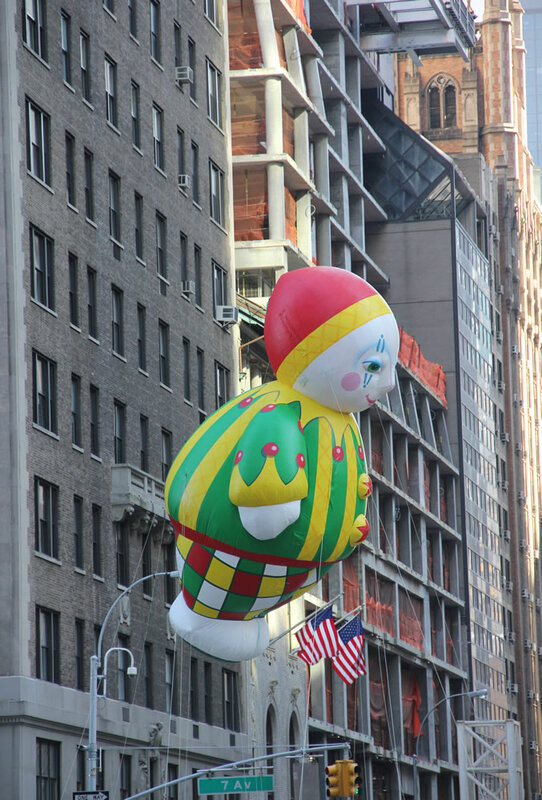 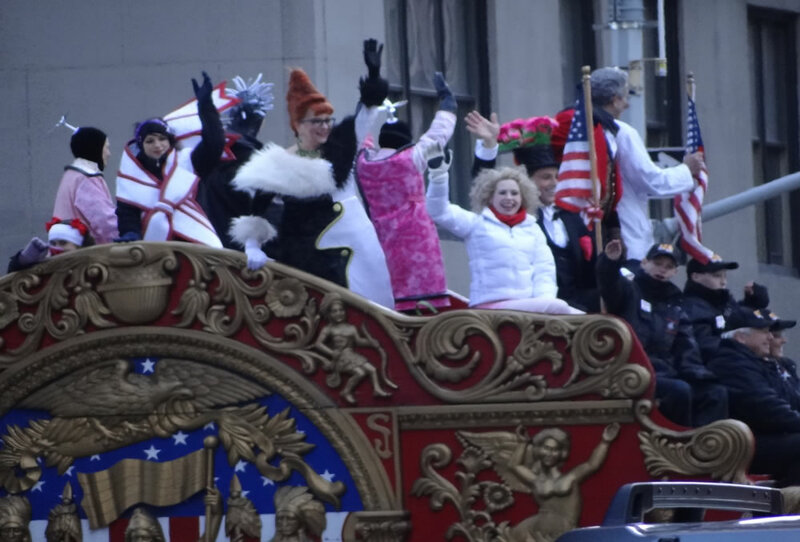 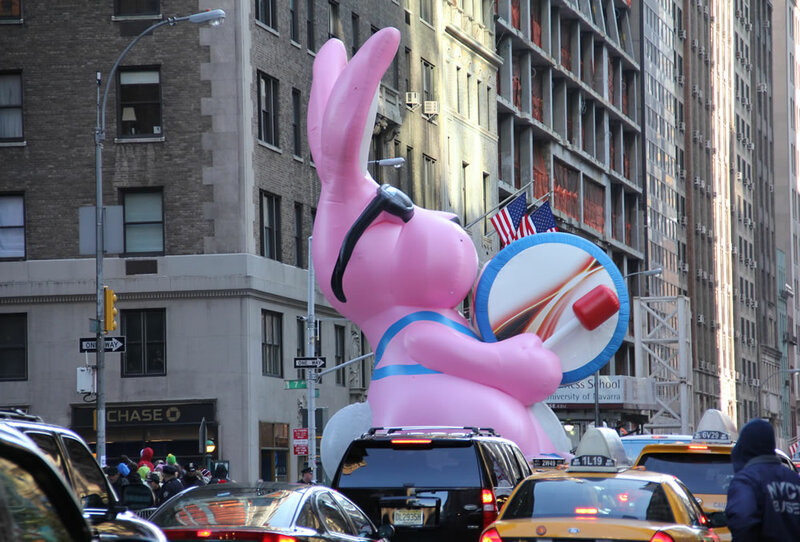 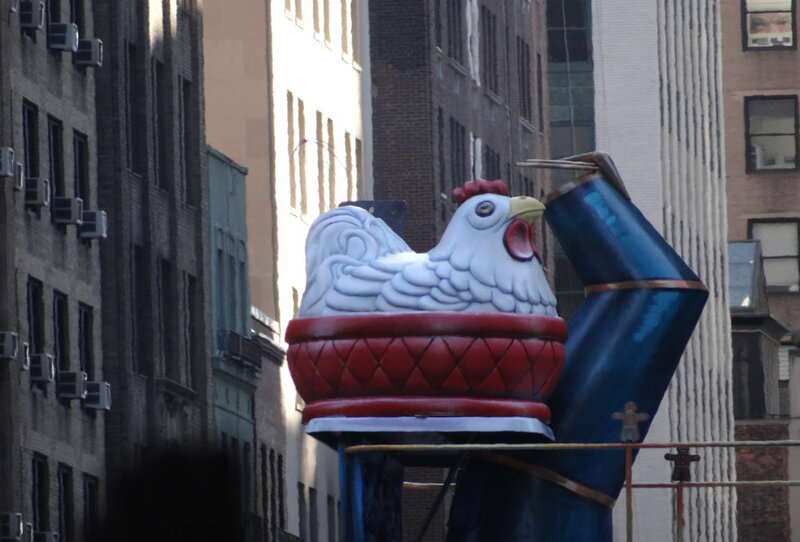 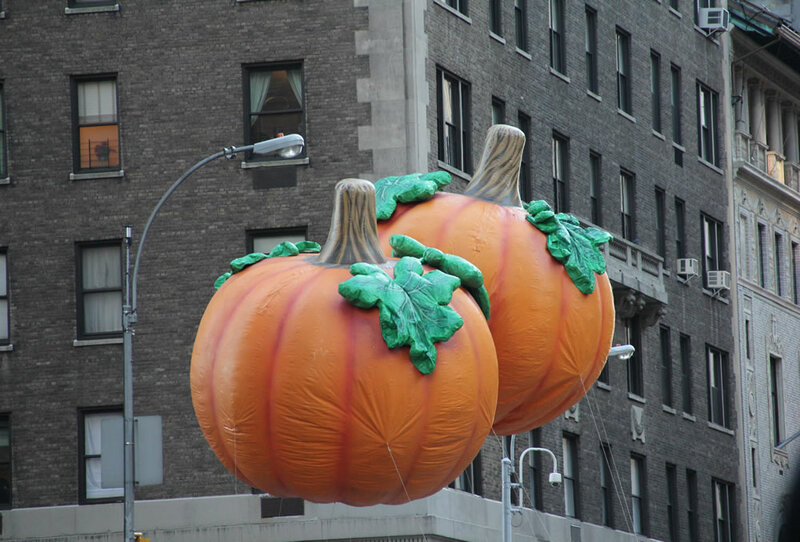 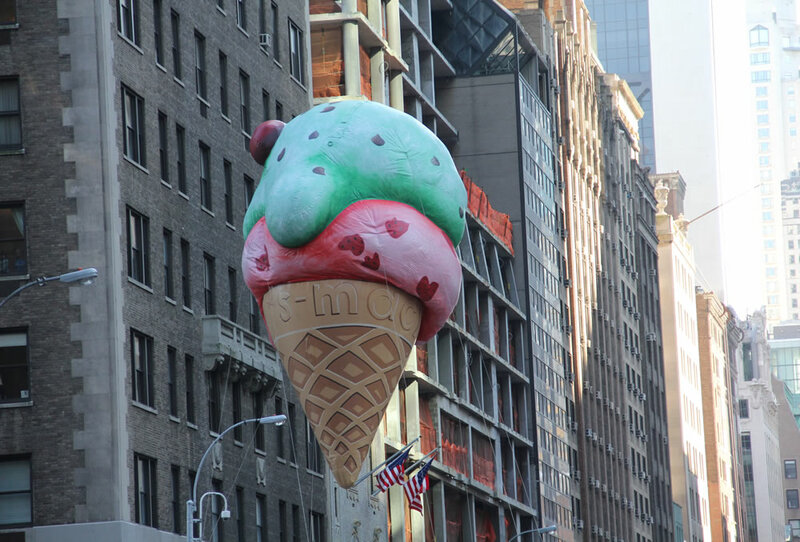 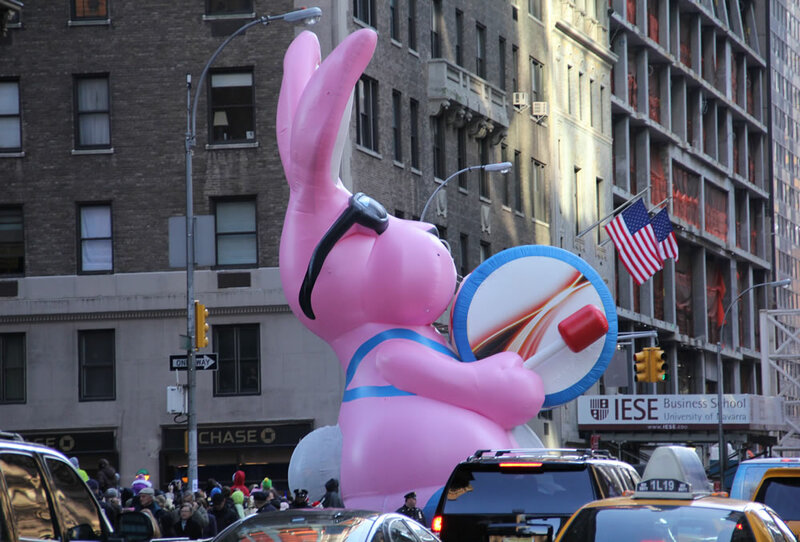 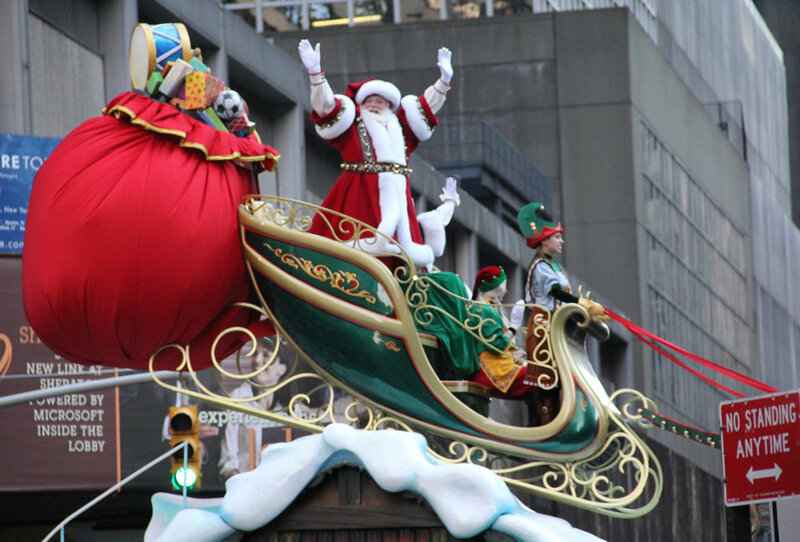 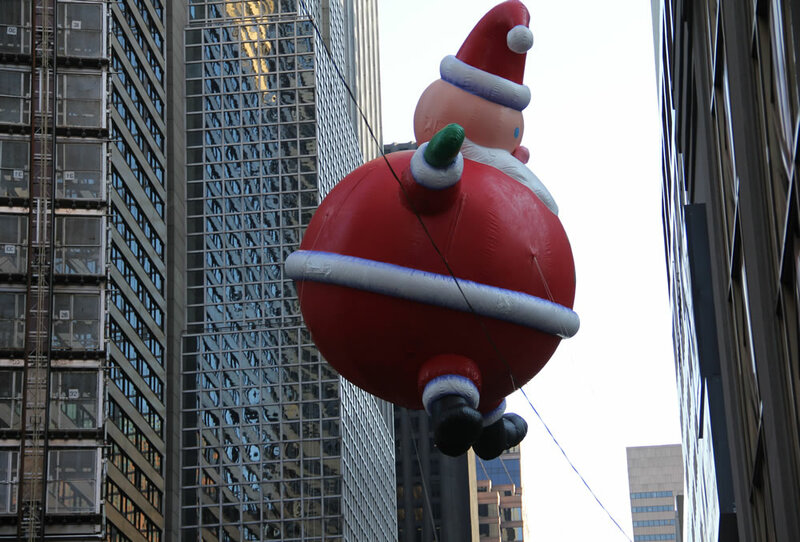 Unlike most of the city’s big parades, the Macy’s Thanksgiving Day Parade is not on 5th avenue and does not run uptown on one street. 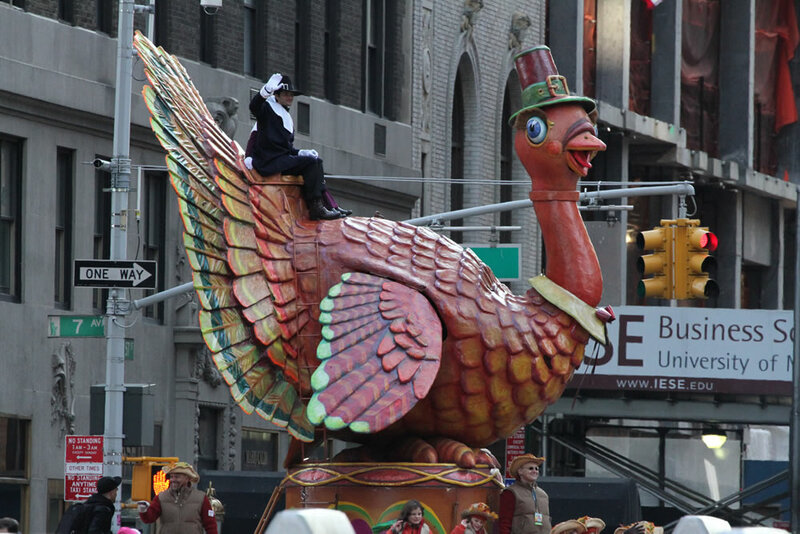 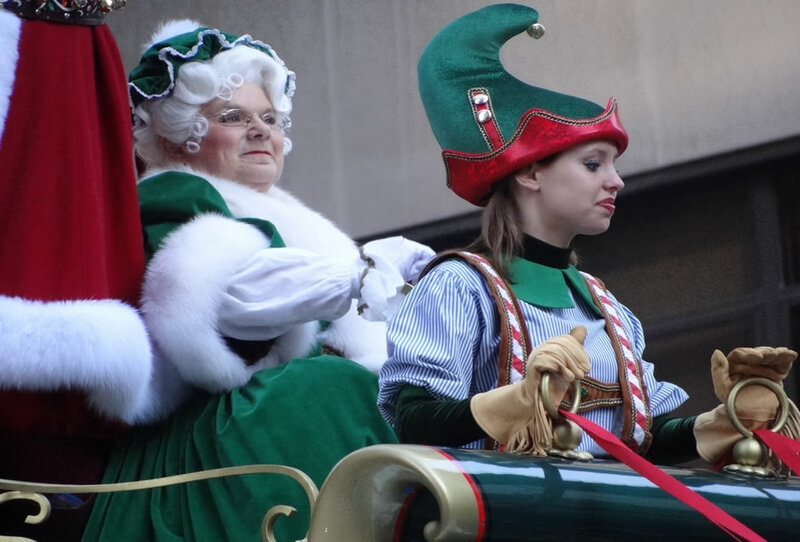 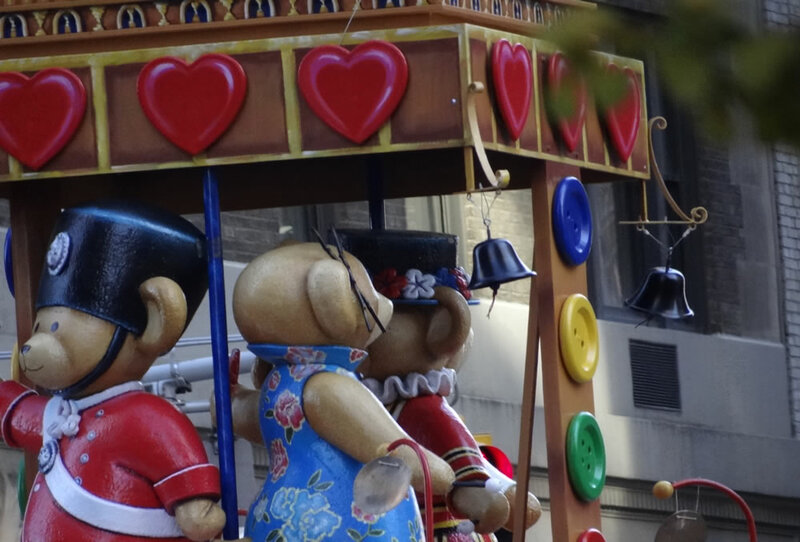 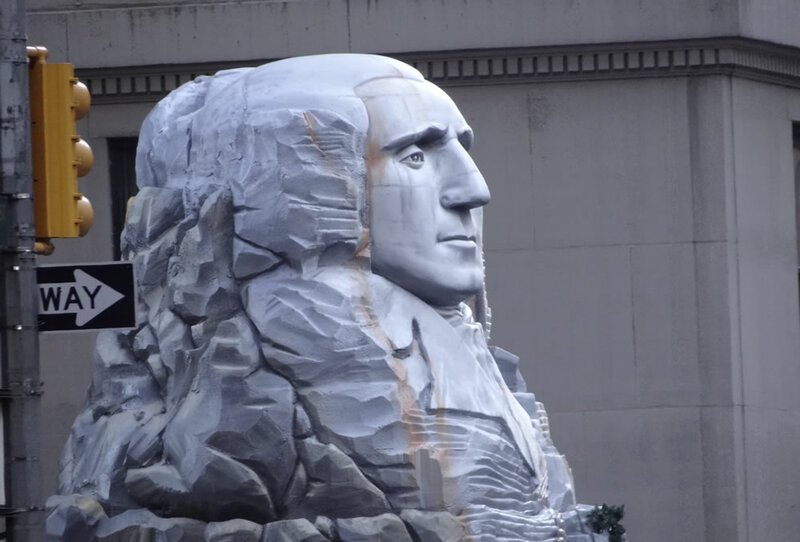 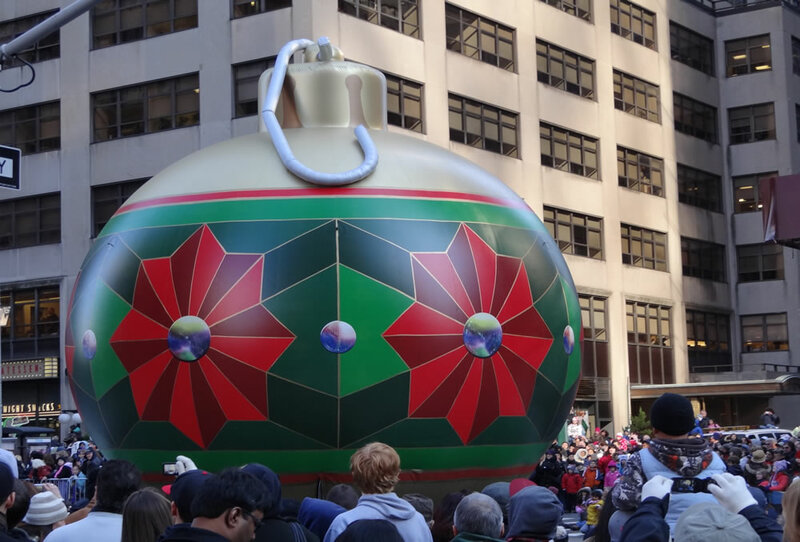 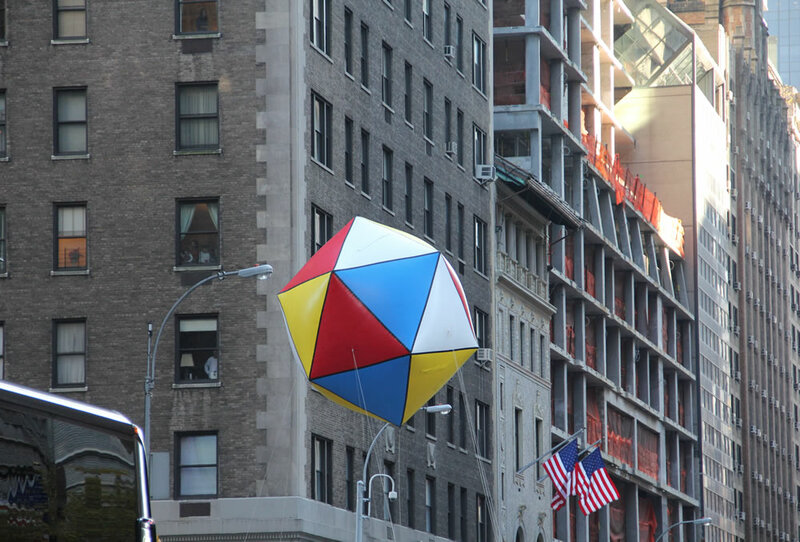 The Macy’s Thanksgiving parade will begin at 77th Street and Central Park West, and will make it’s way down Central Park West to Columbus Circle (59th st.). 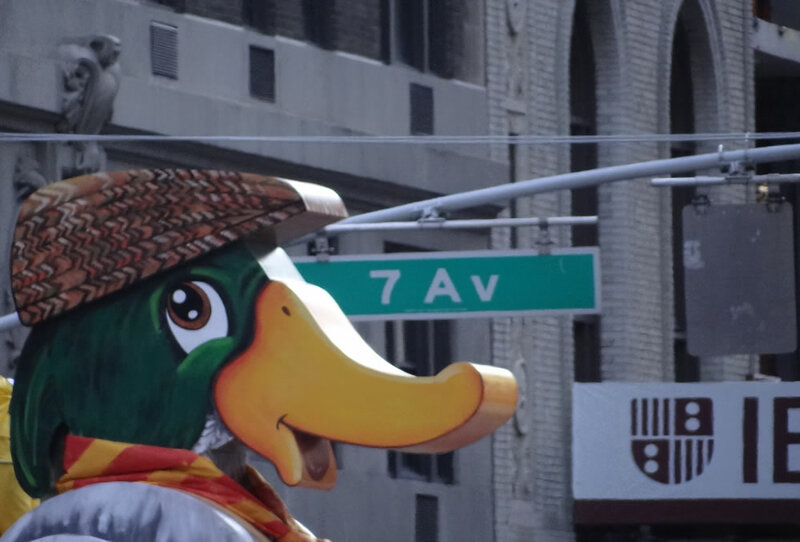 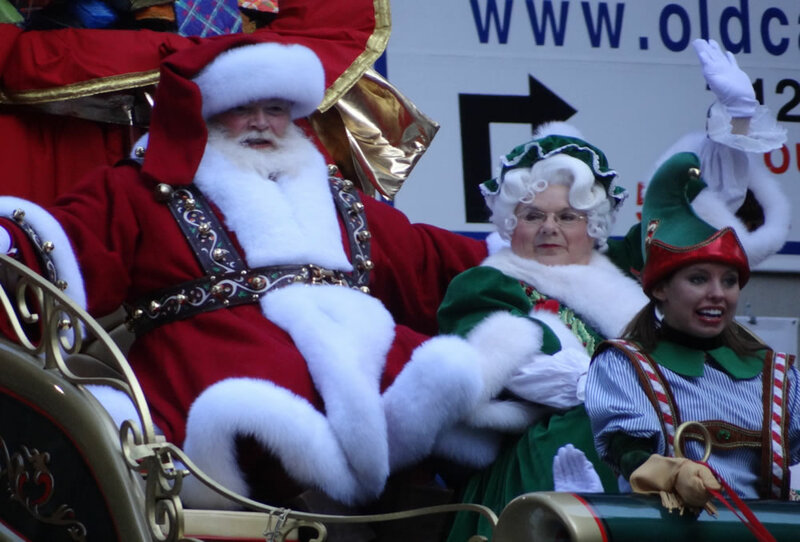 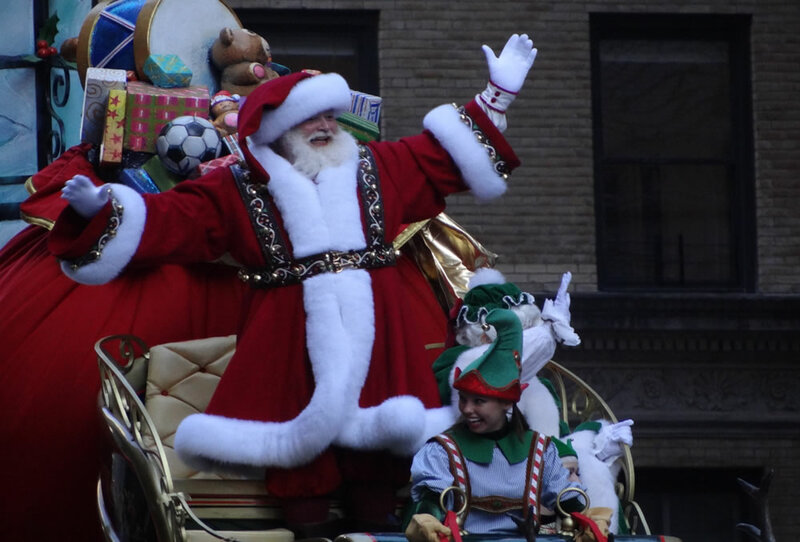 The parade will then turn onto Central Park South and then head south on 7th Avenue. 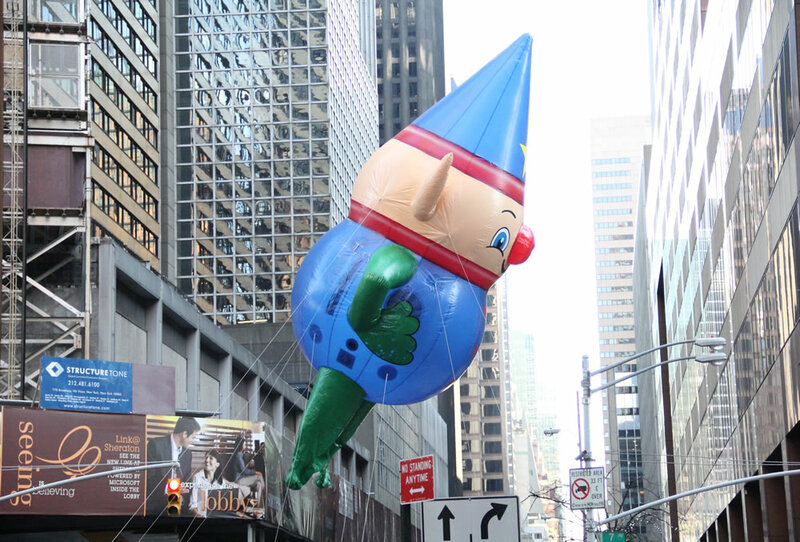 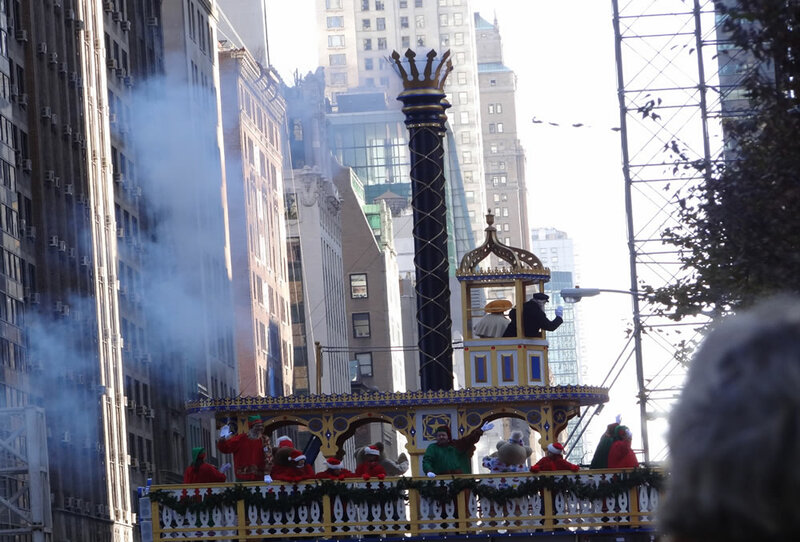 At 42nd Street, the parade will turn east onto 6th Avenue until hitting 34th Street and turning west. 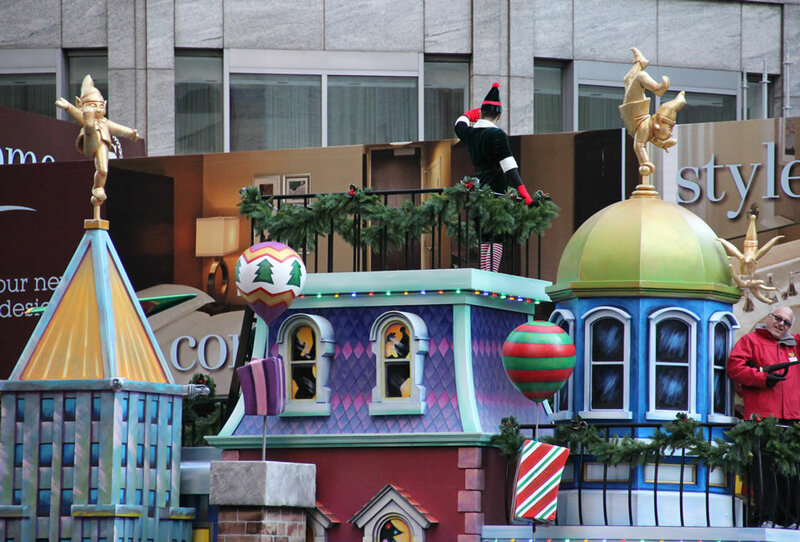 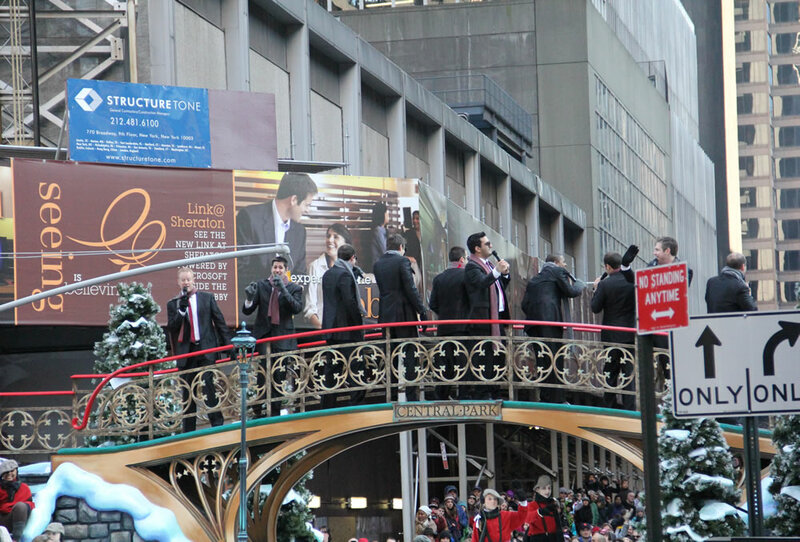 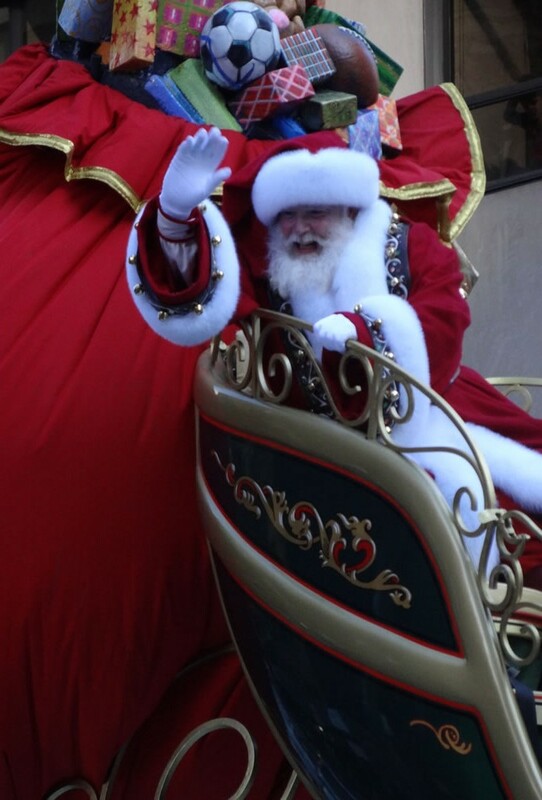 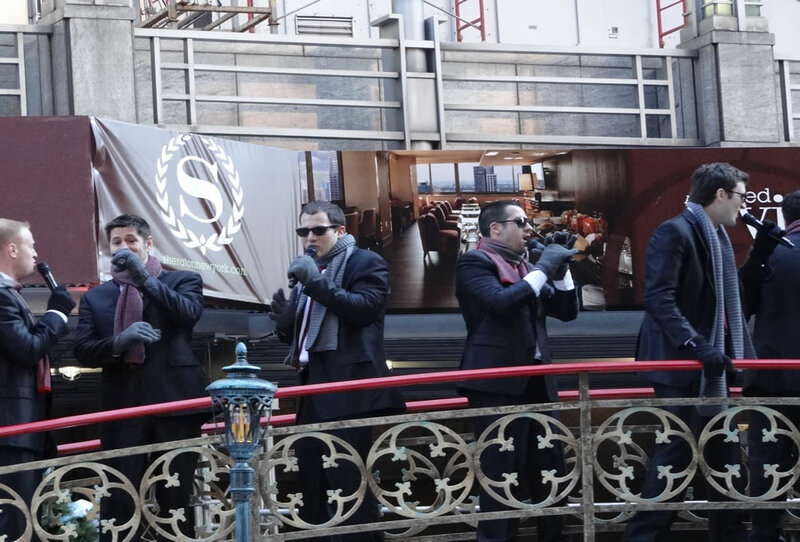 The parade will end in front of Macy’s Herald Square. 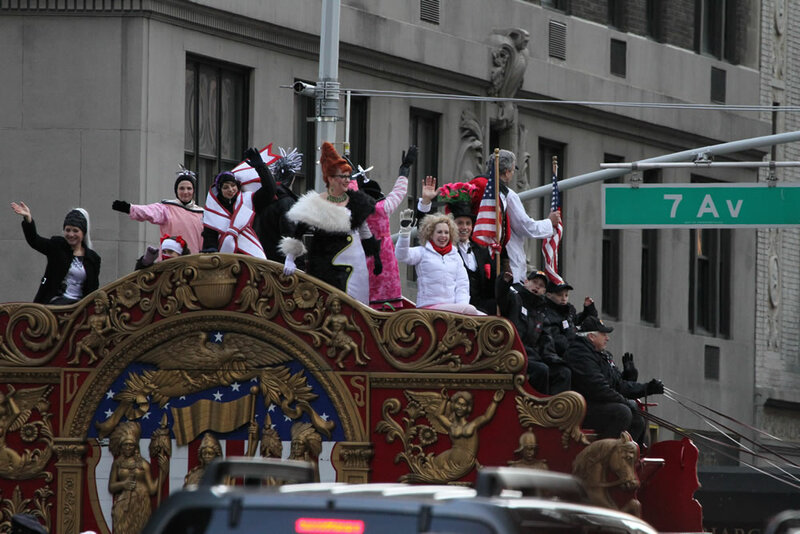 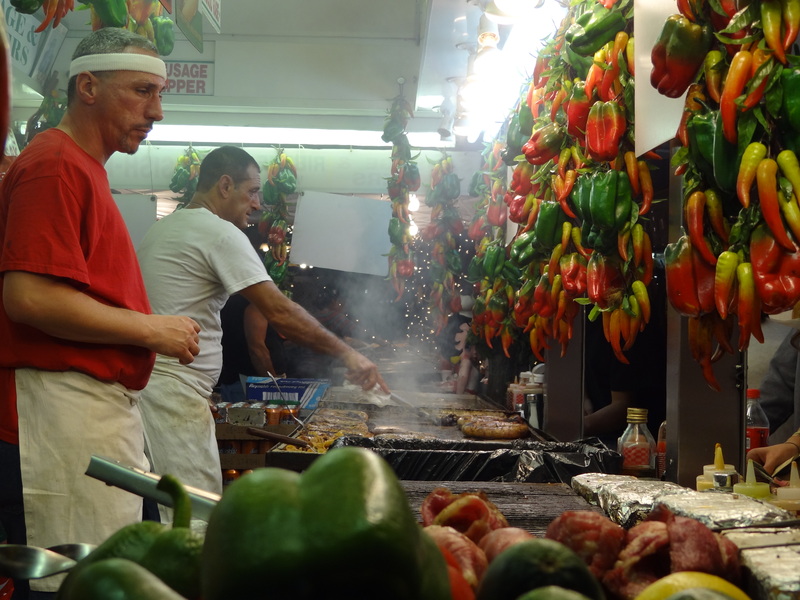 NOTE: There is no public access in the telecast area on 6th Avenue between 34th and 38th Streets and on 34th Street between Broadway and 7th Avenue. 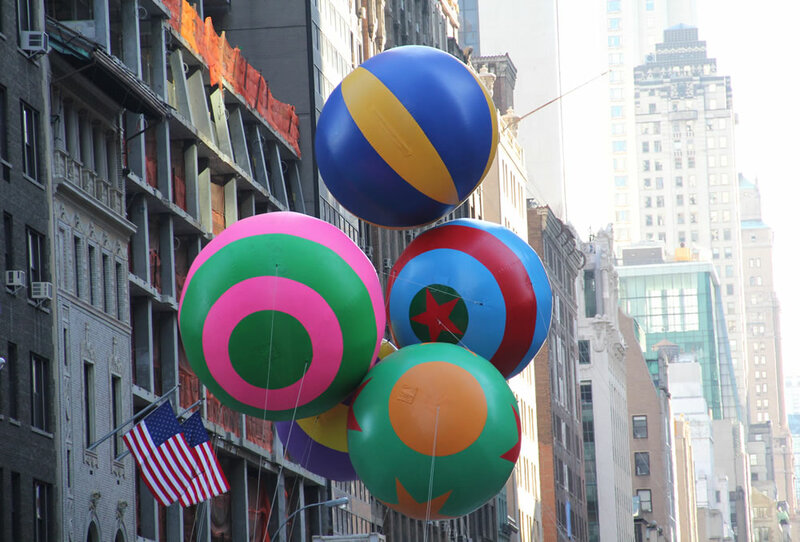 The south side of 34th Street between Broadway and 7th Avenue will have limited viewing for the public. 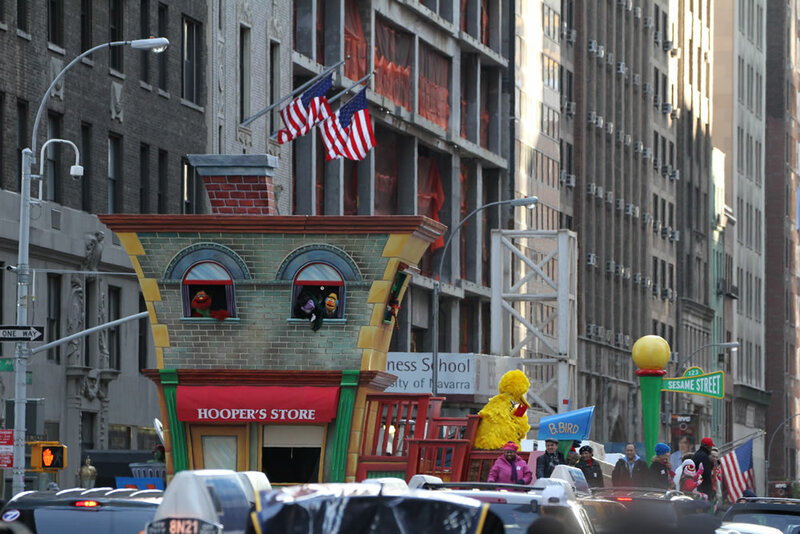 View street closures. 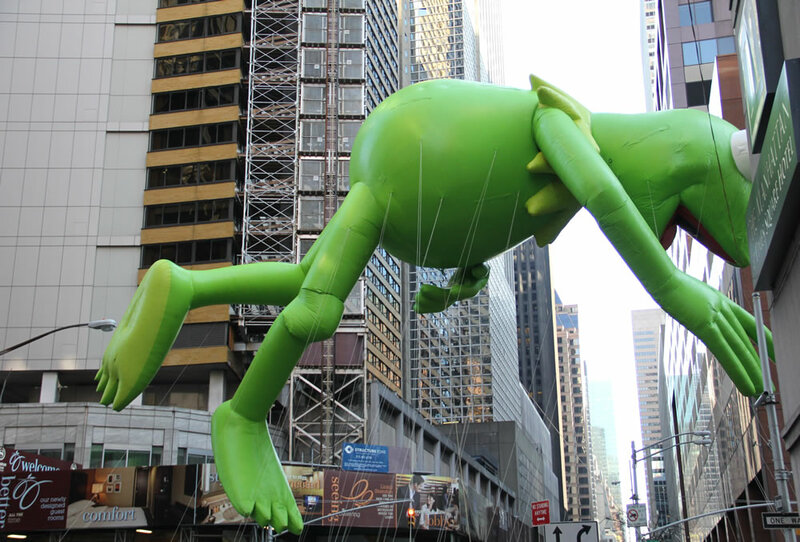 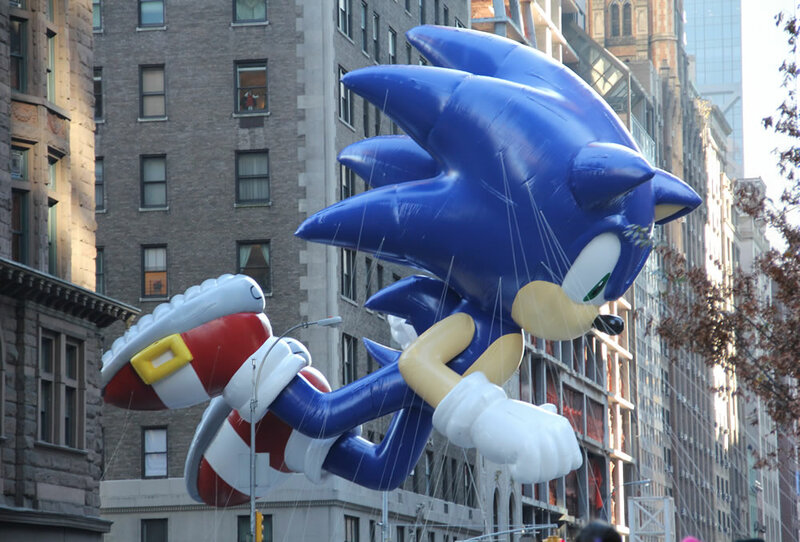 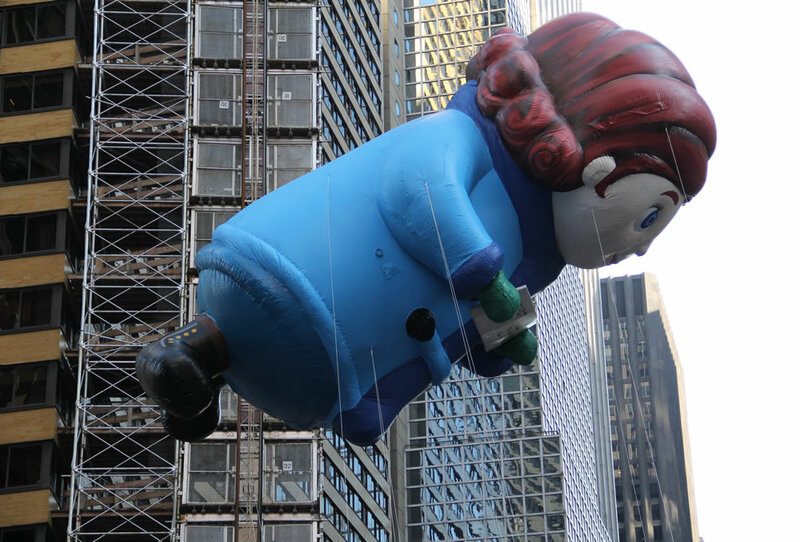 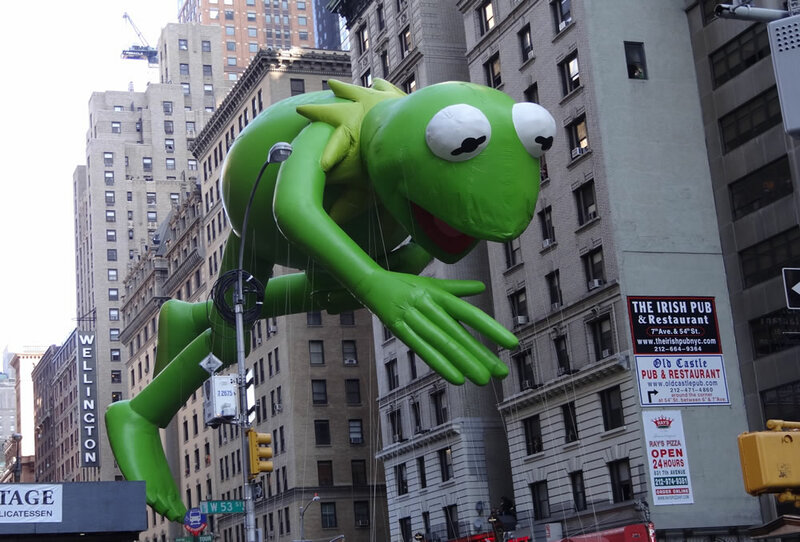 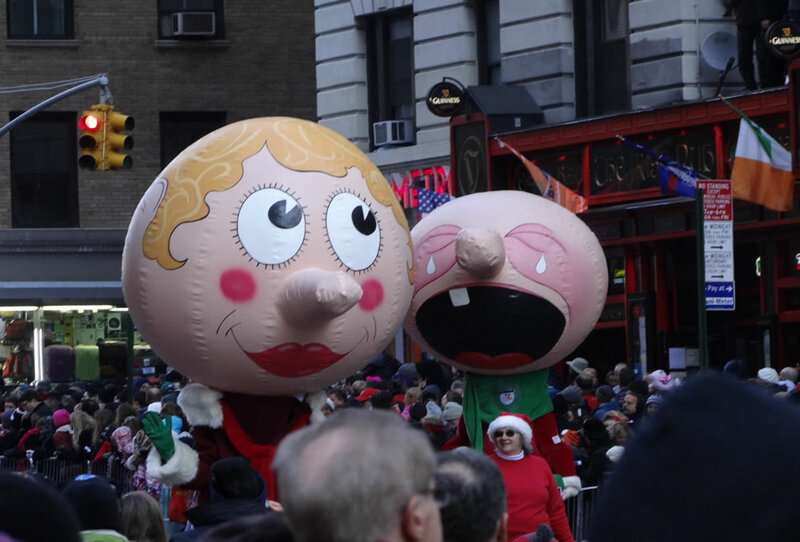 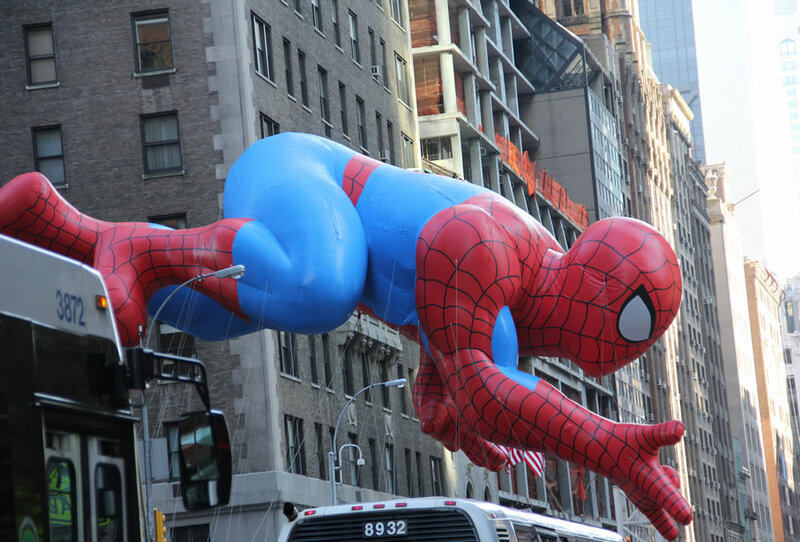 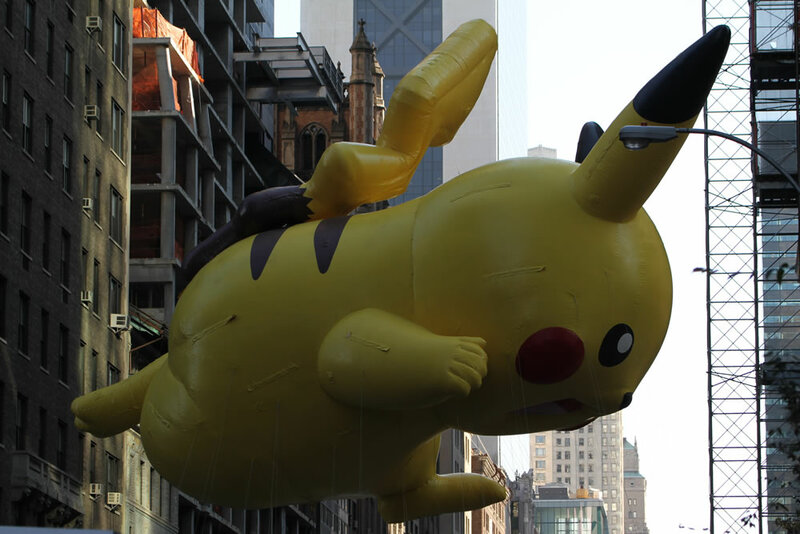 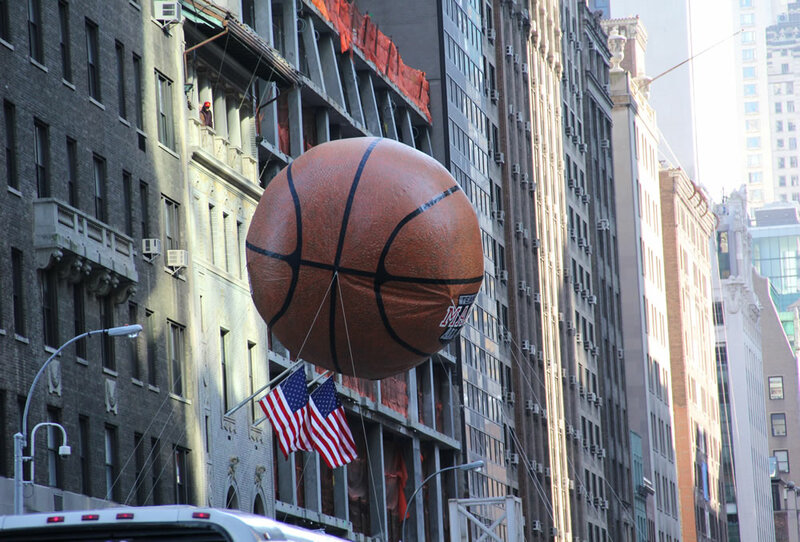 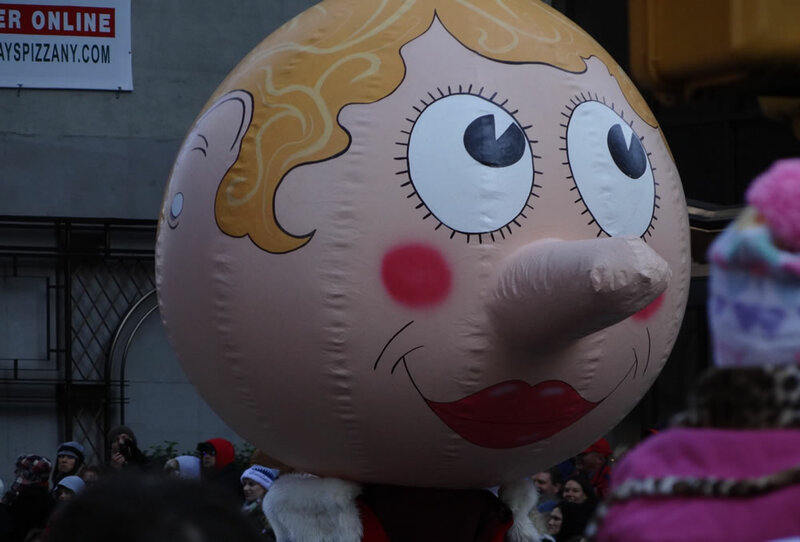 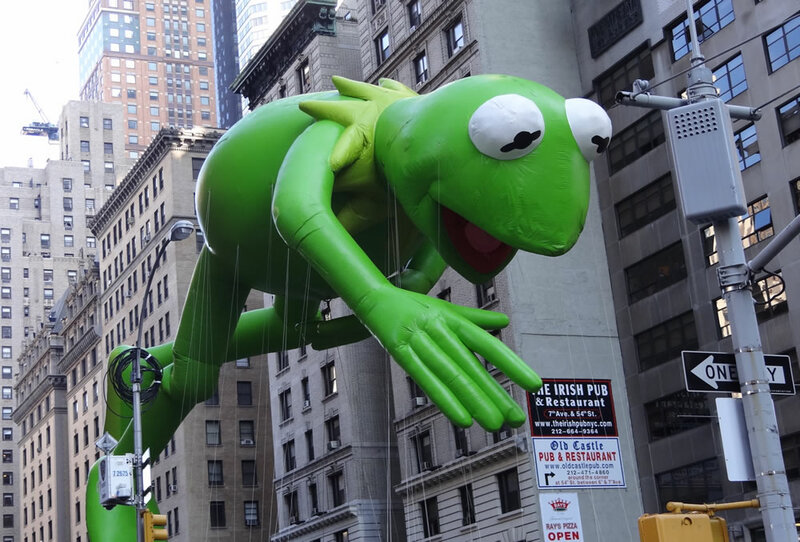 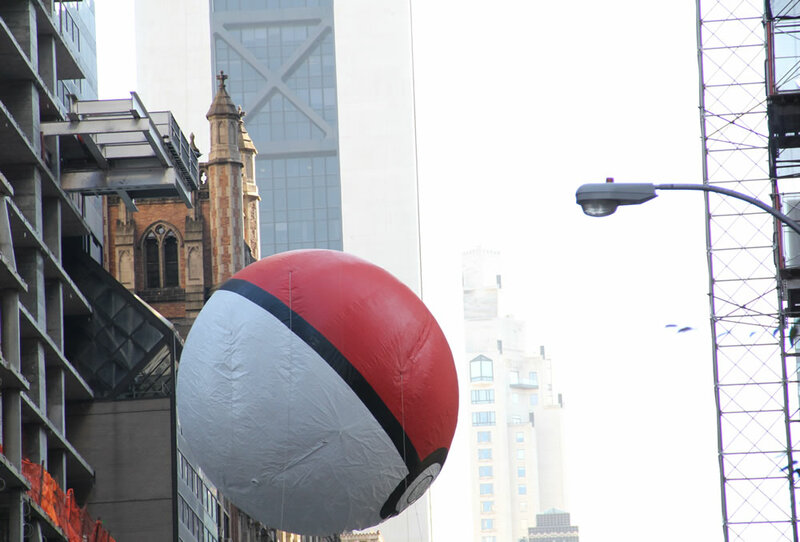 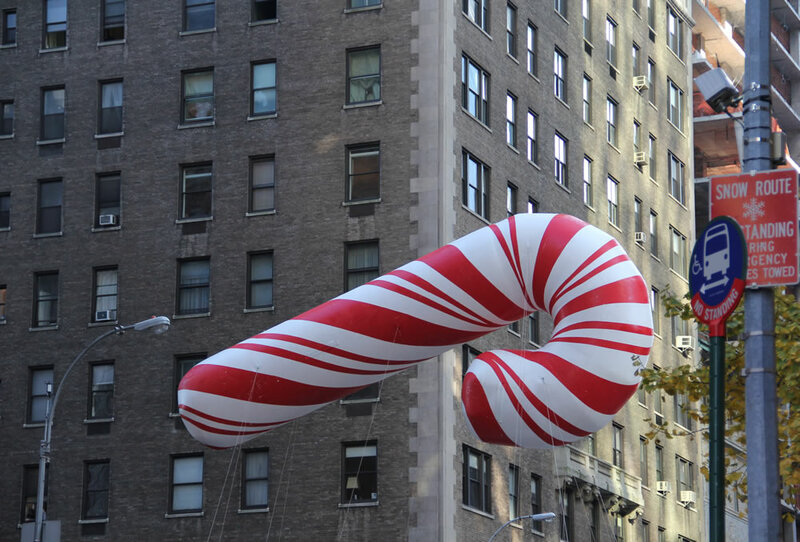 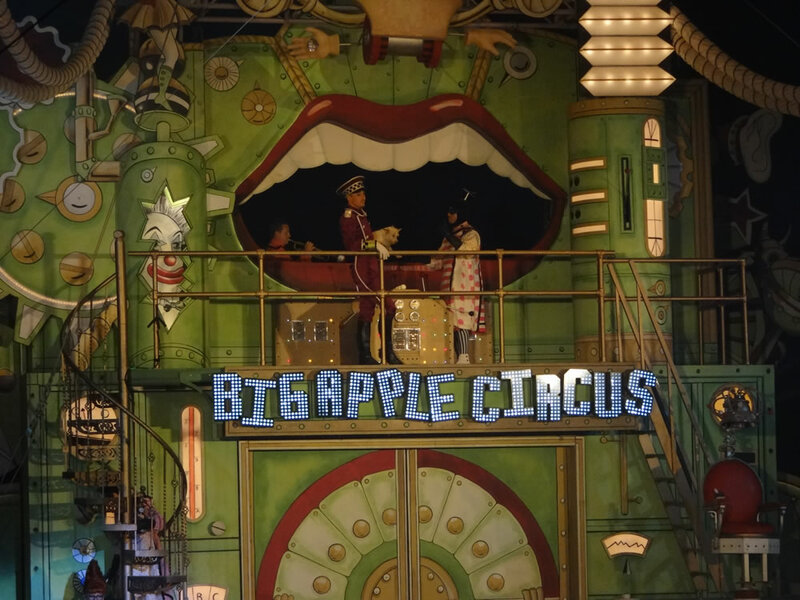 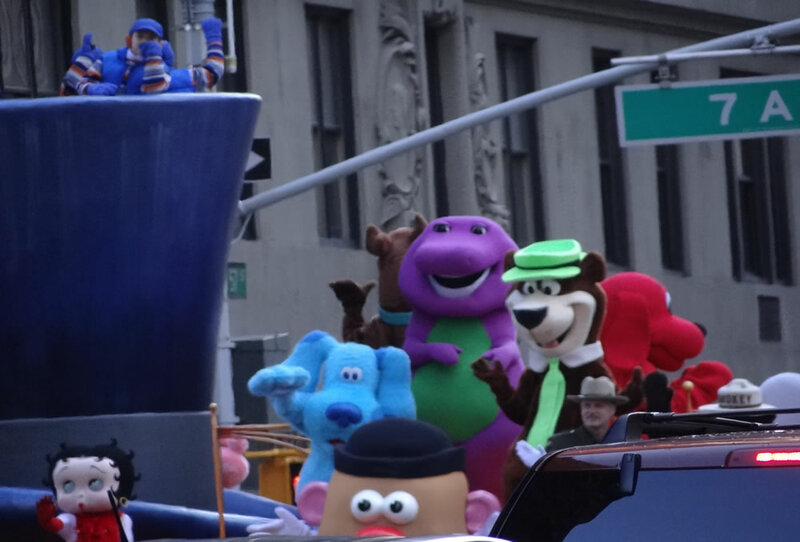 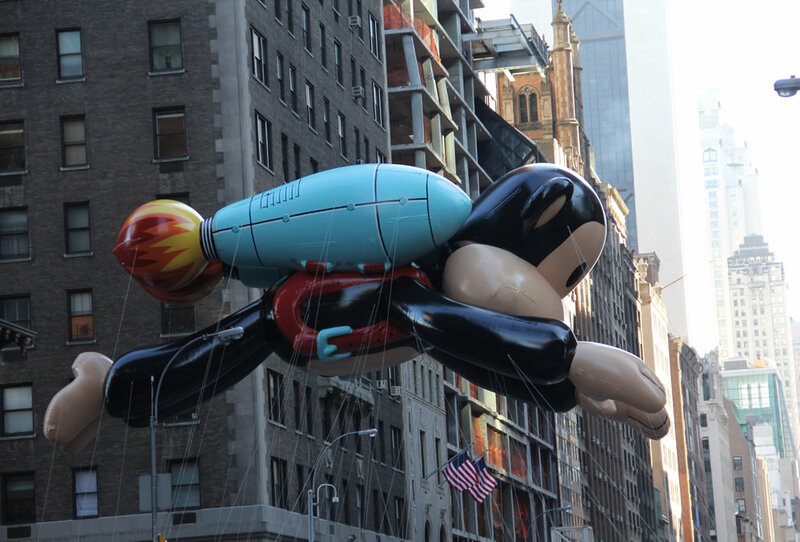 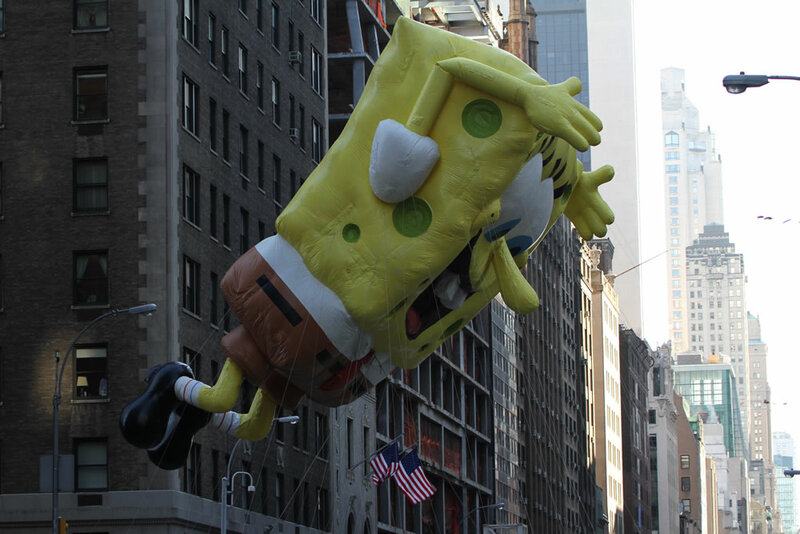 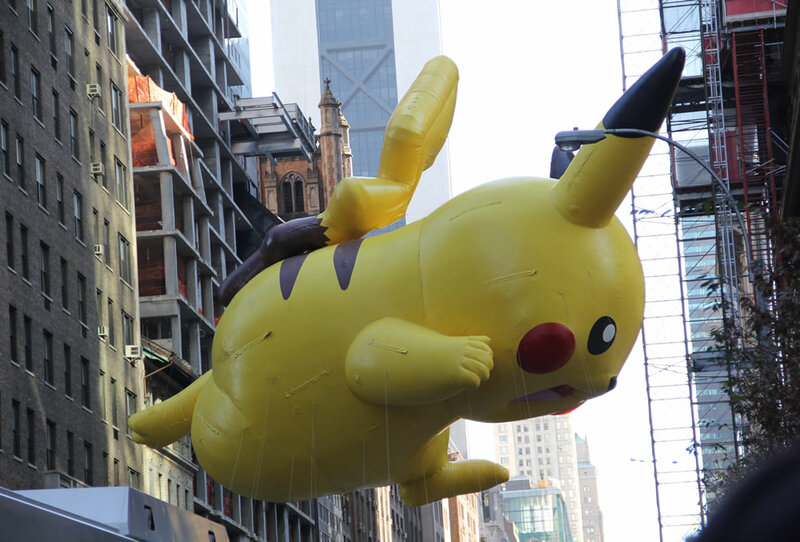 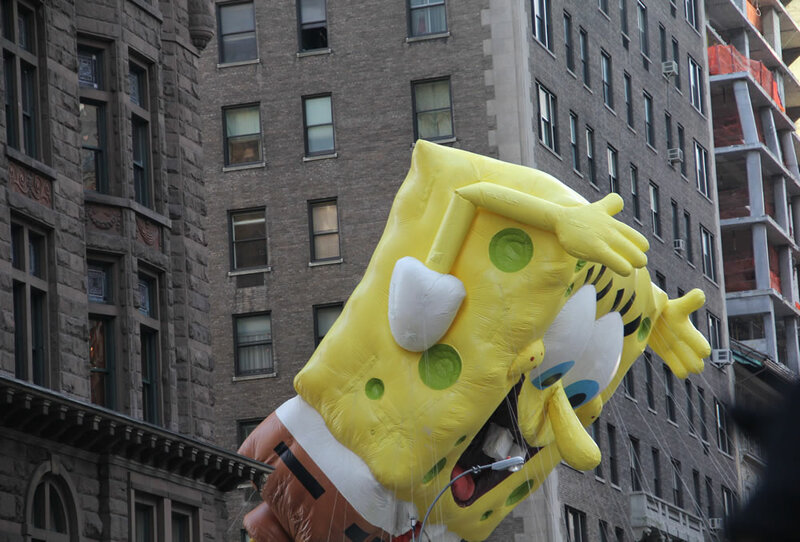 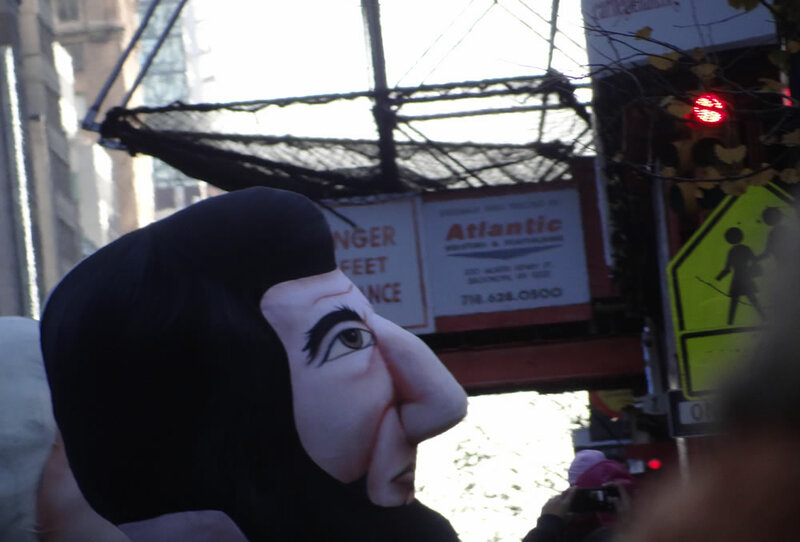 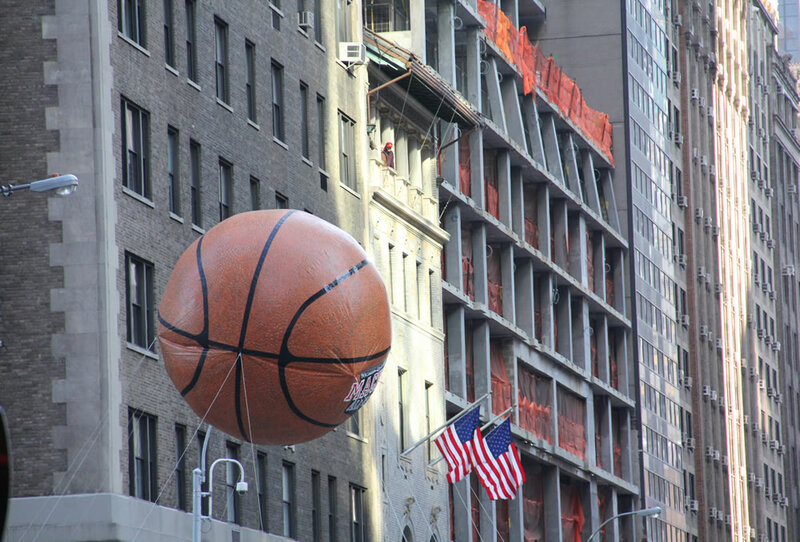 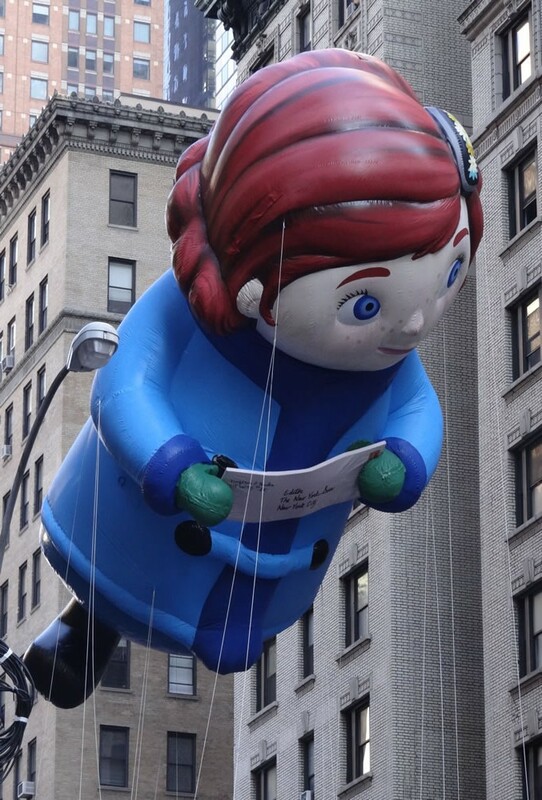 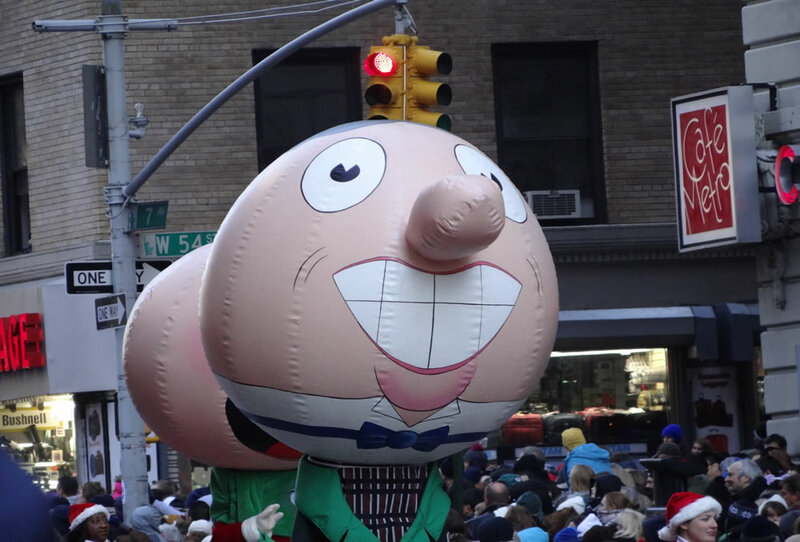 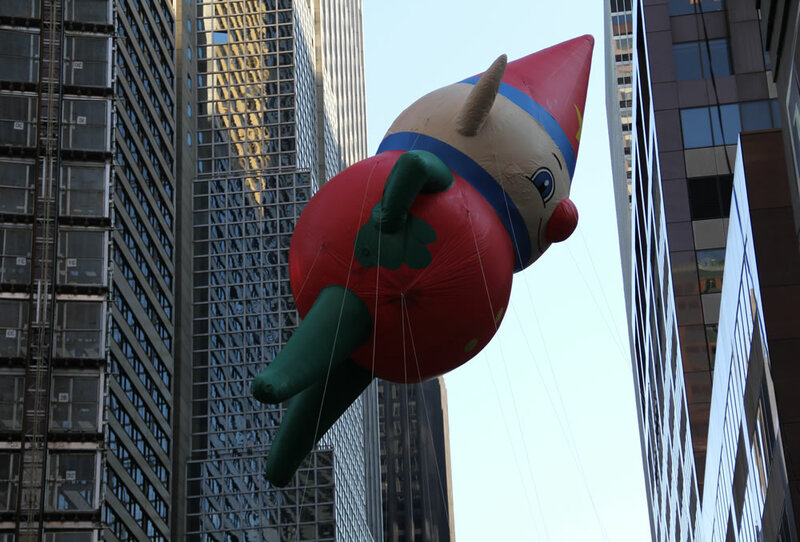 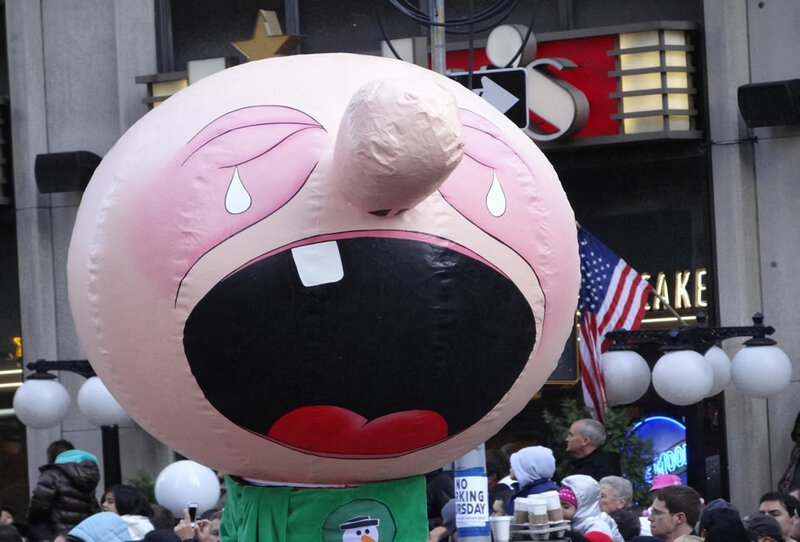 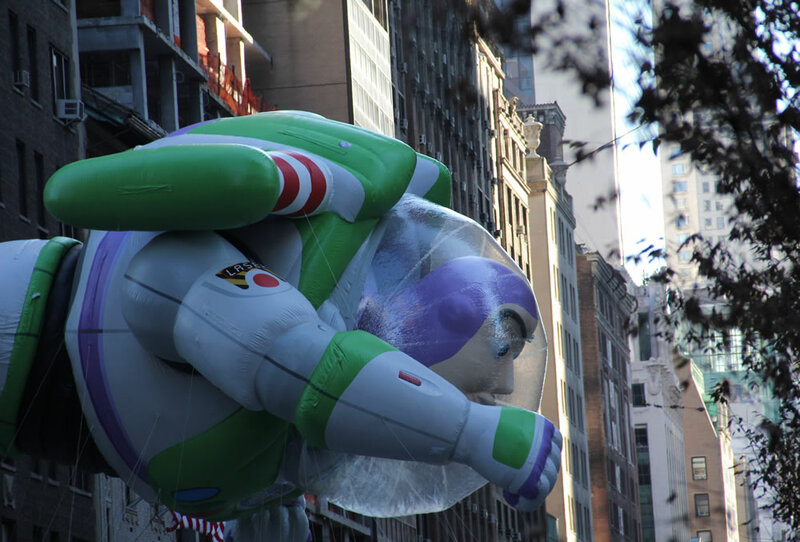 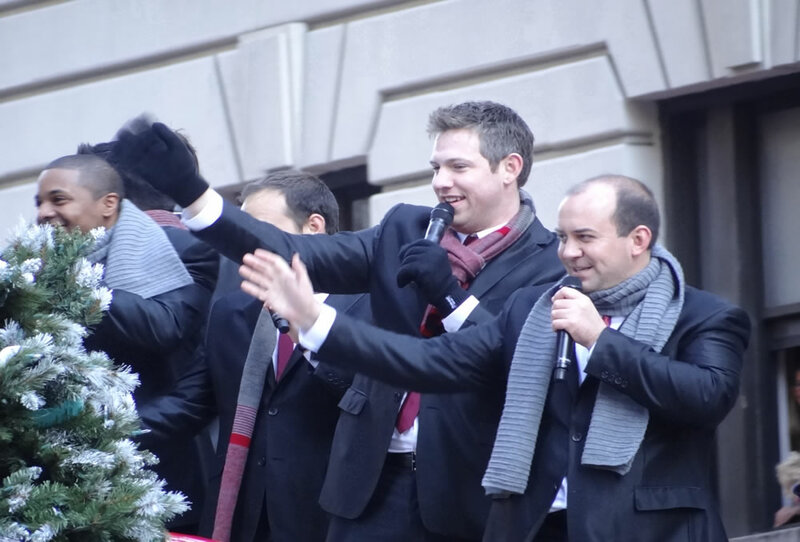 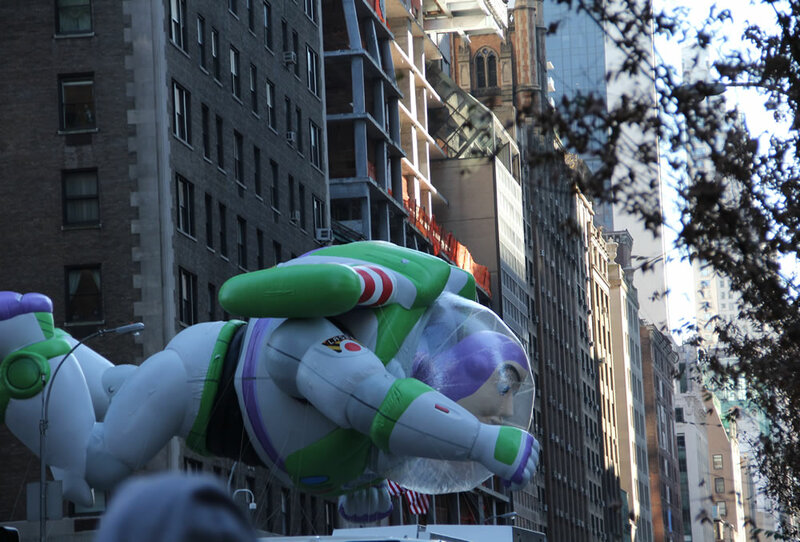 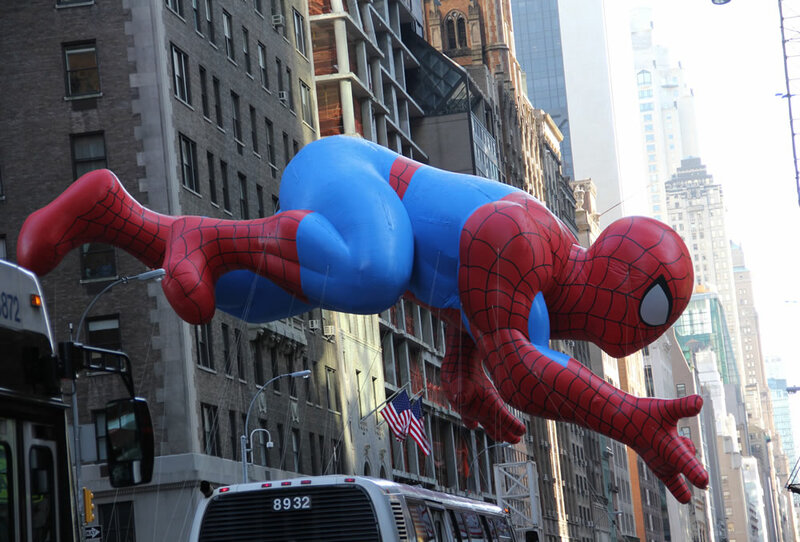 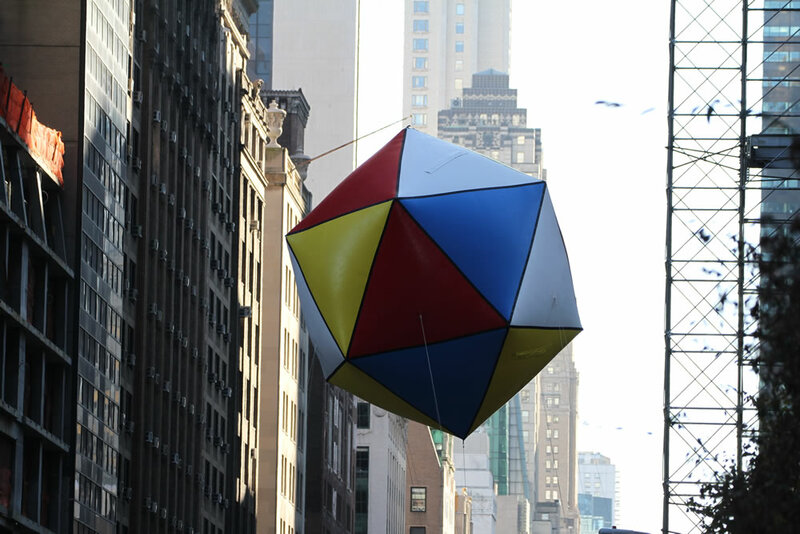 Check out photos from past NYC Macy’s Thanksgiving Day Parade.